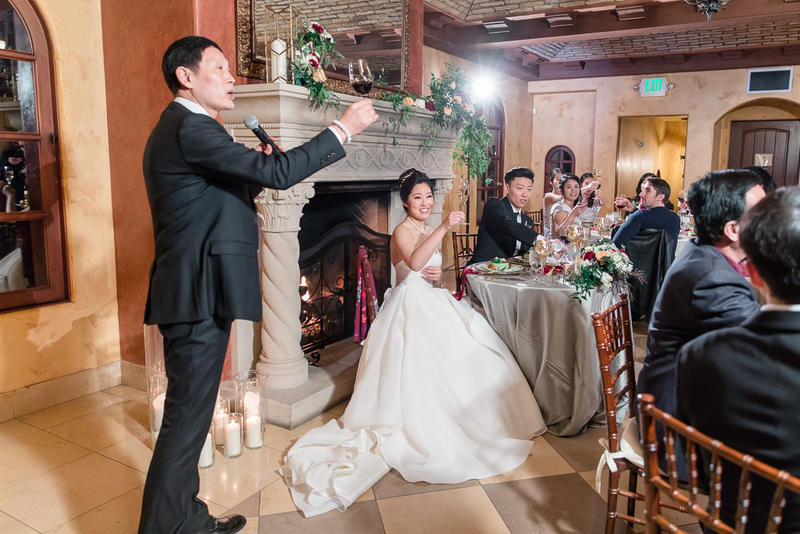 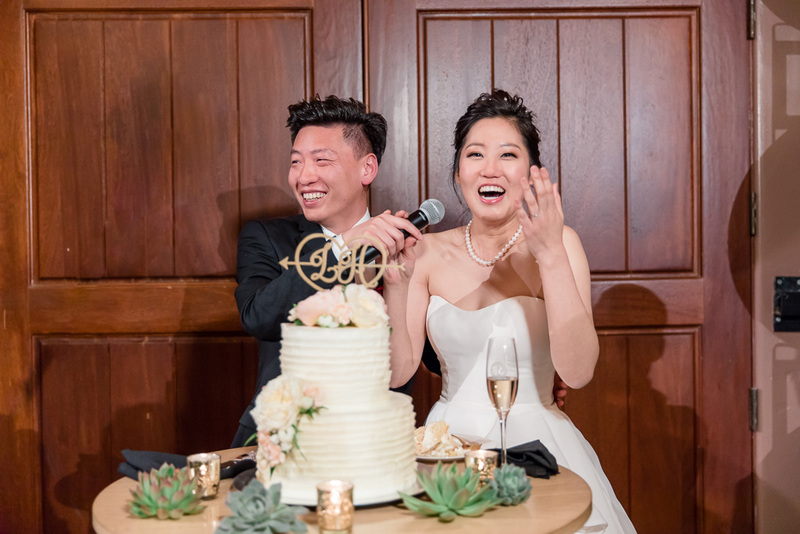 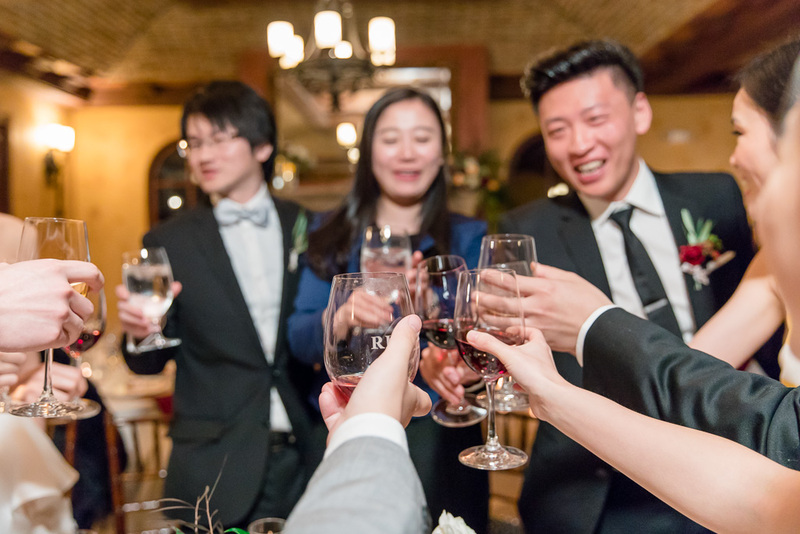 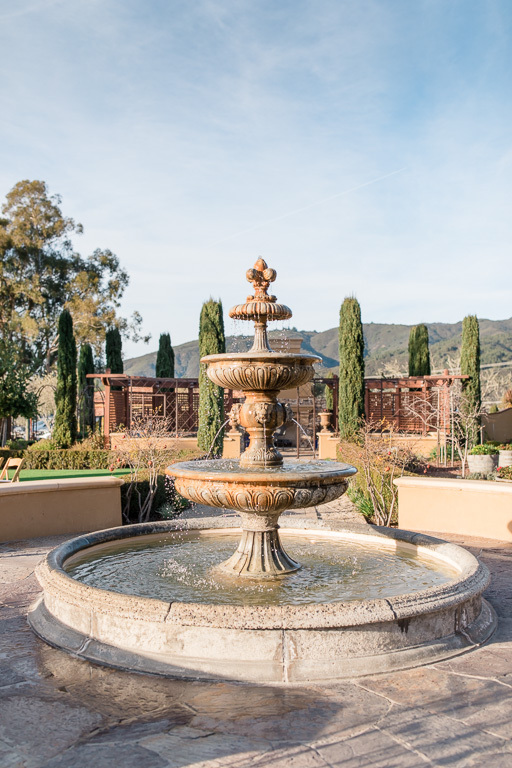 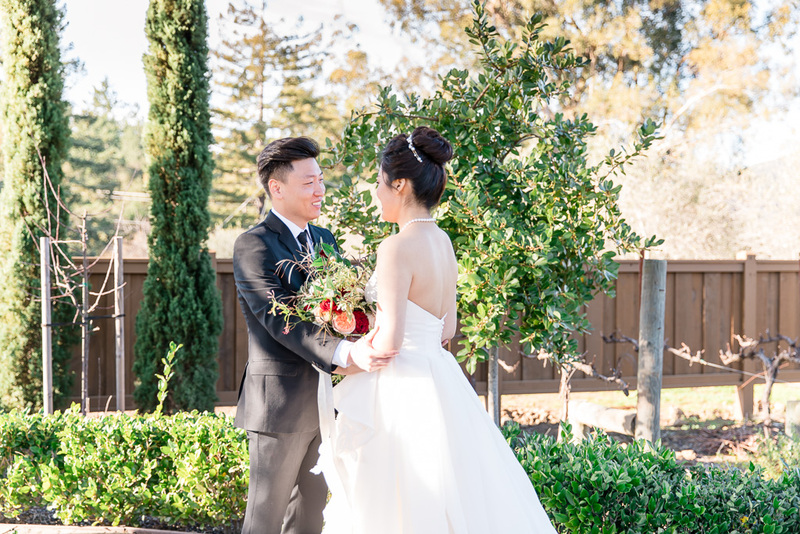 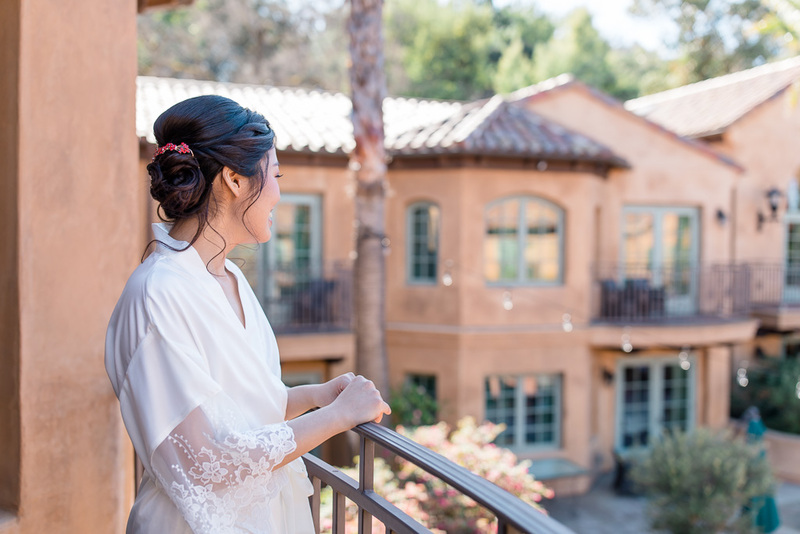 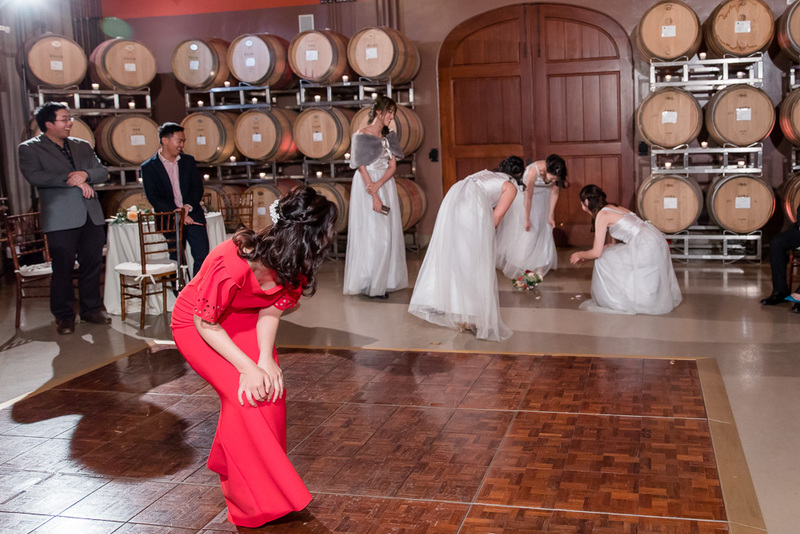 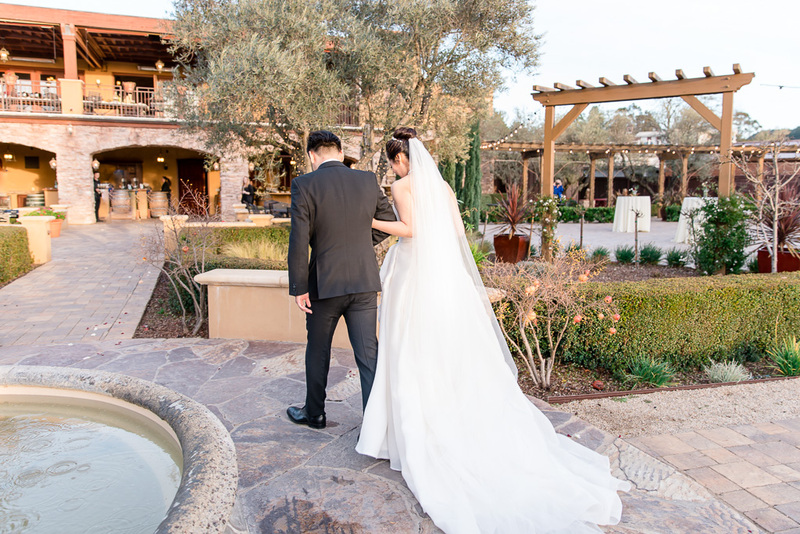 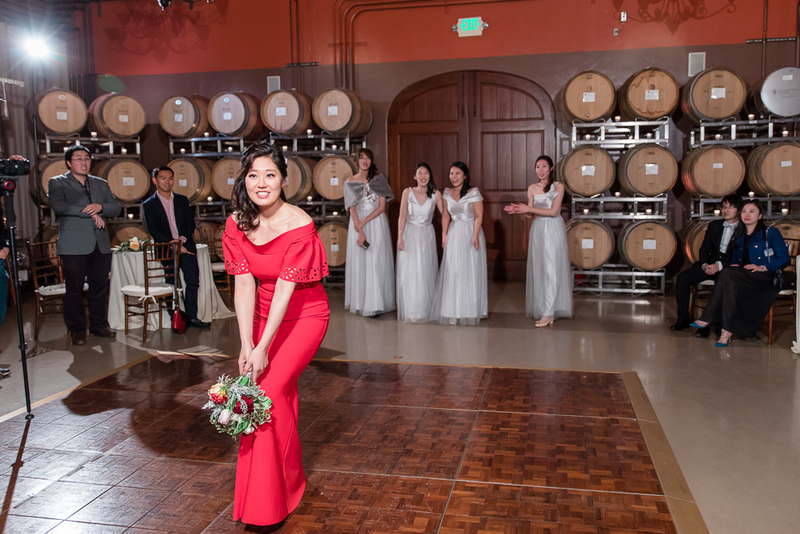 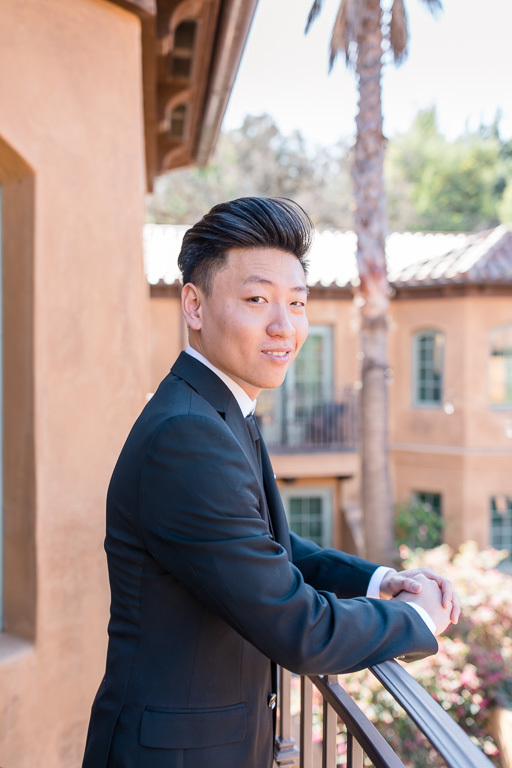 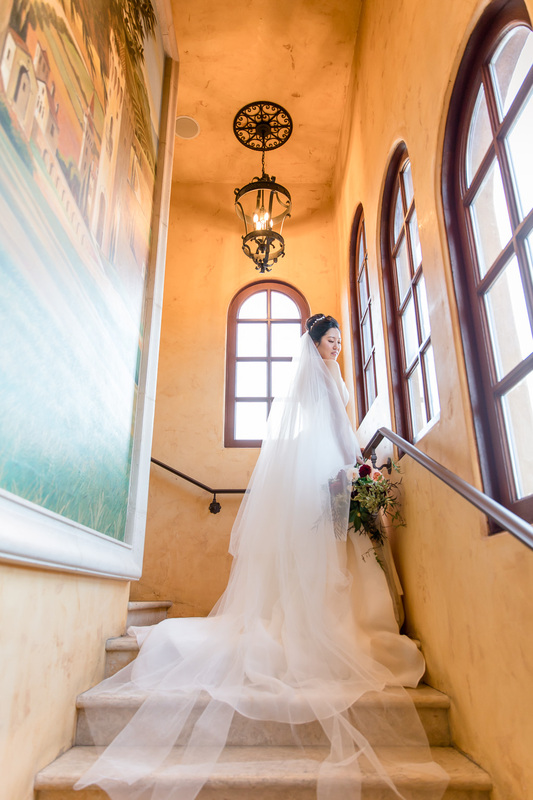 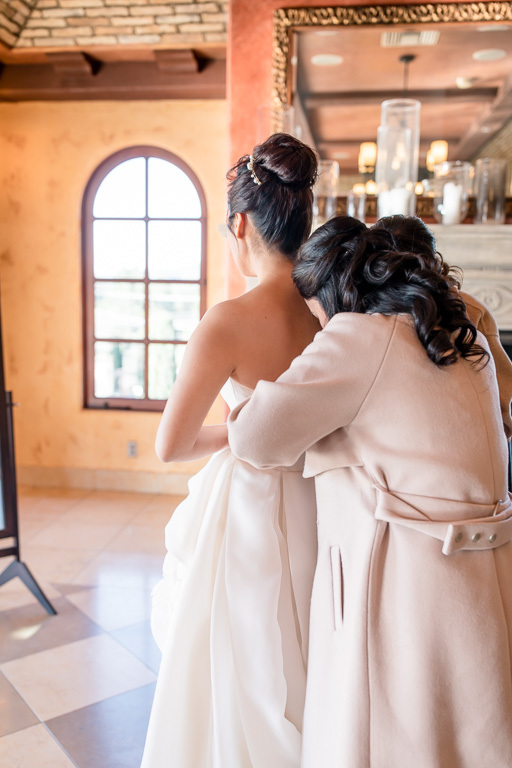 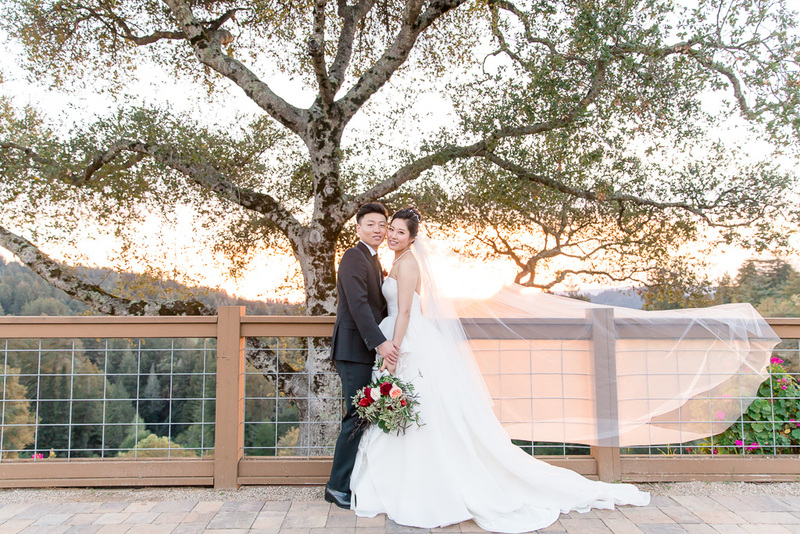 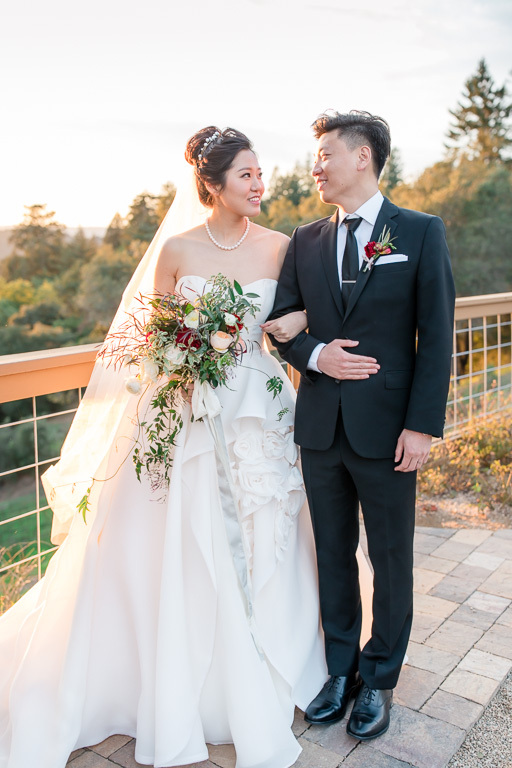 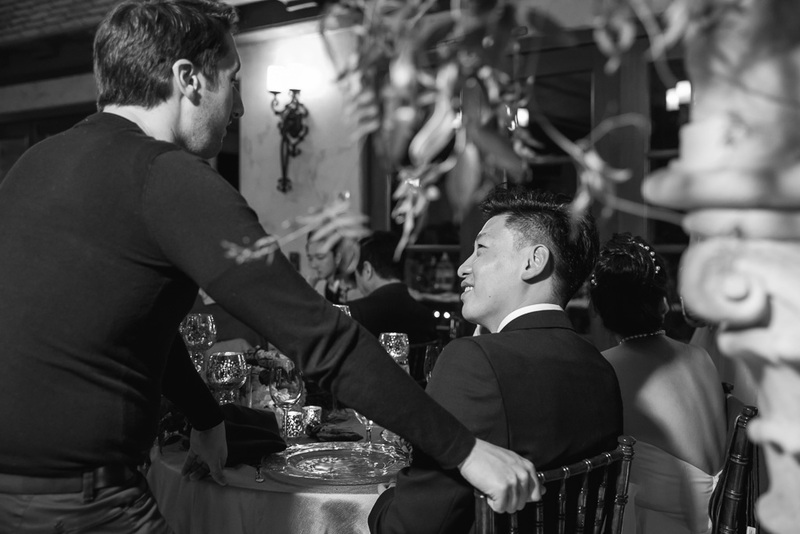 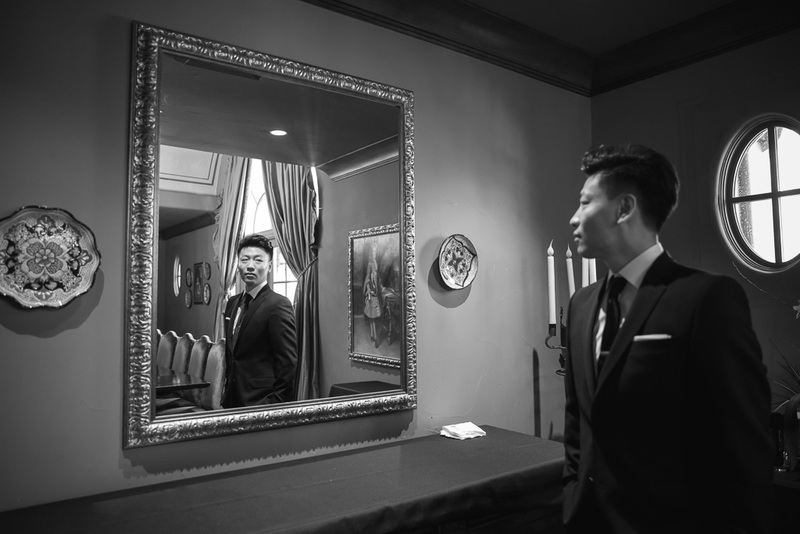 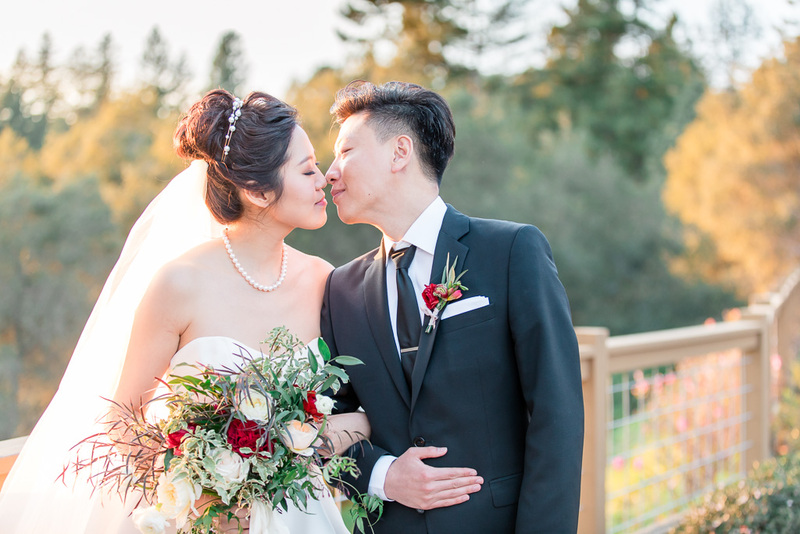 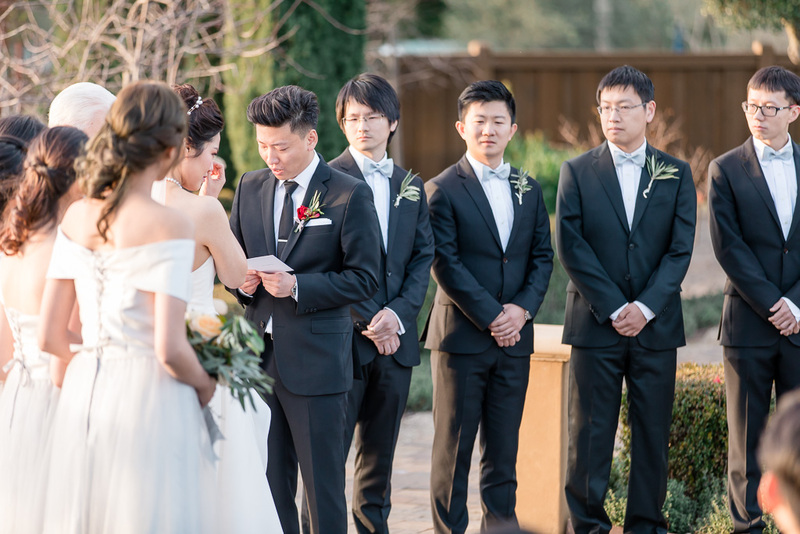 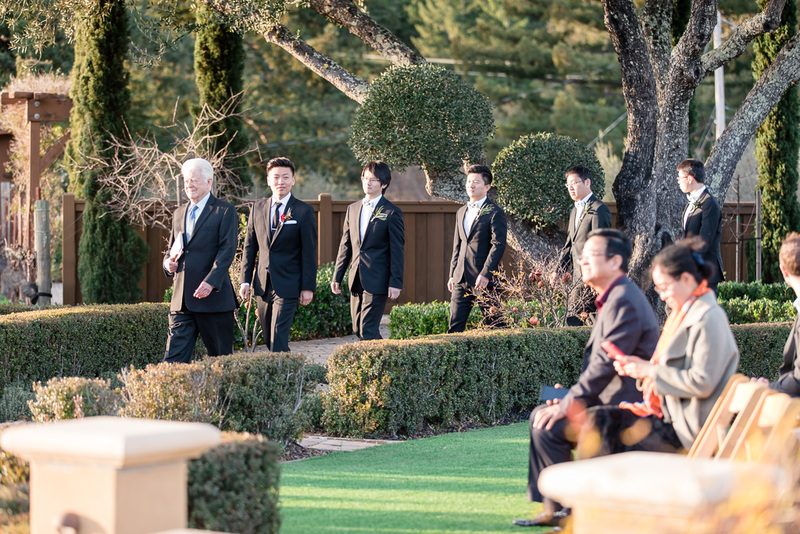 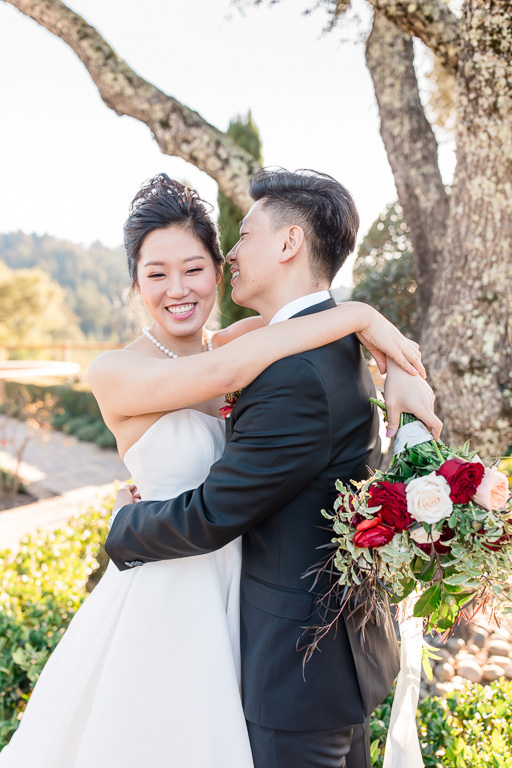 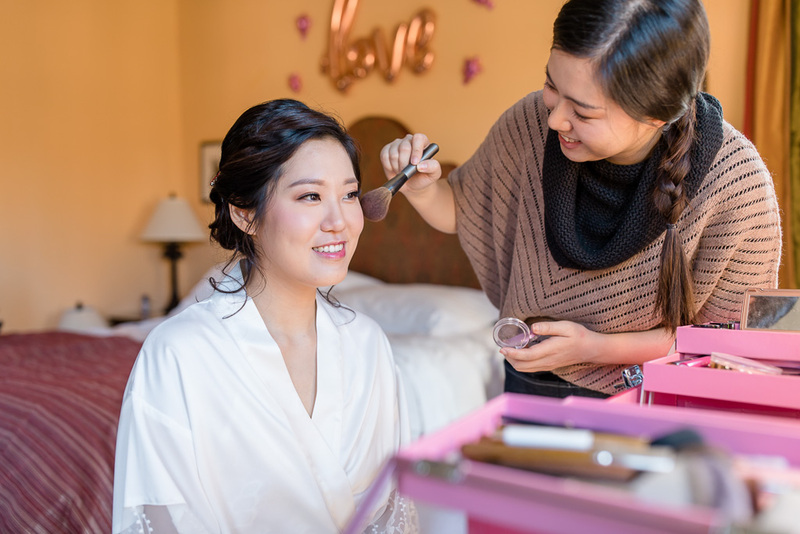 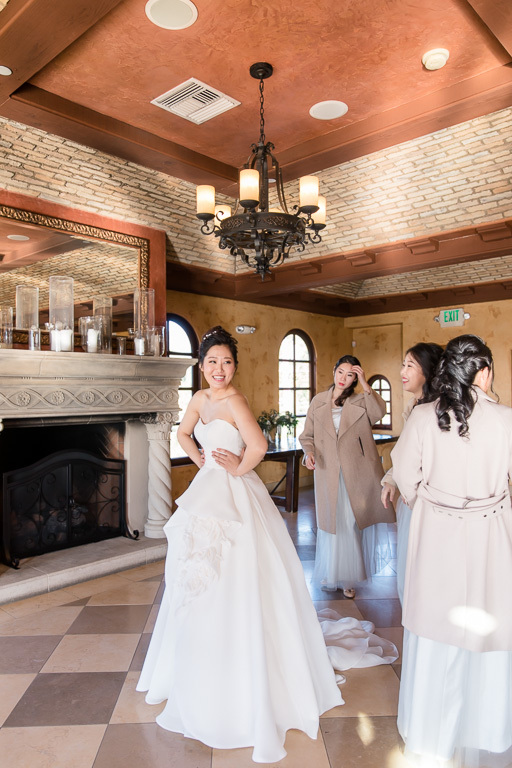 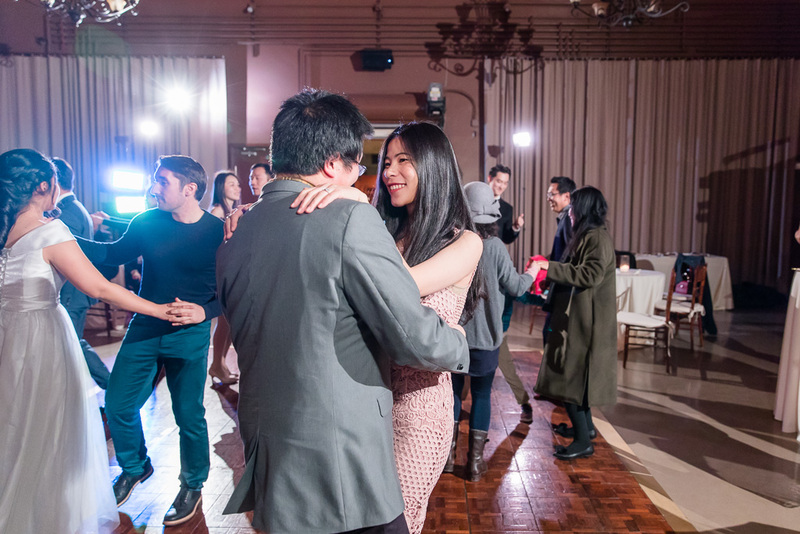 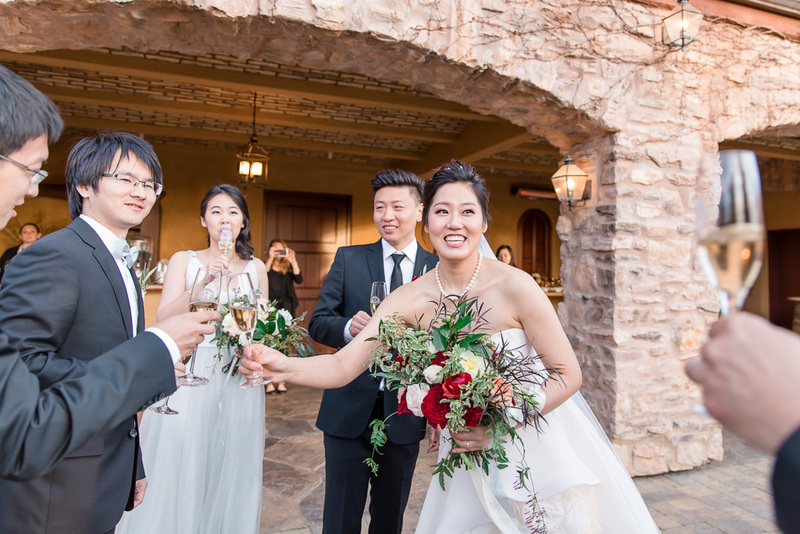 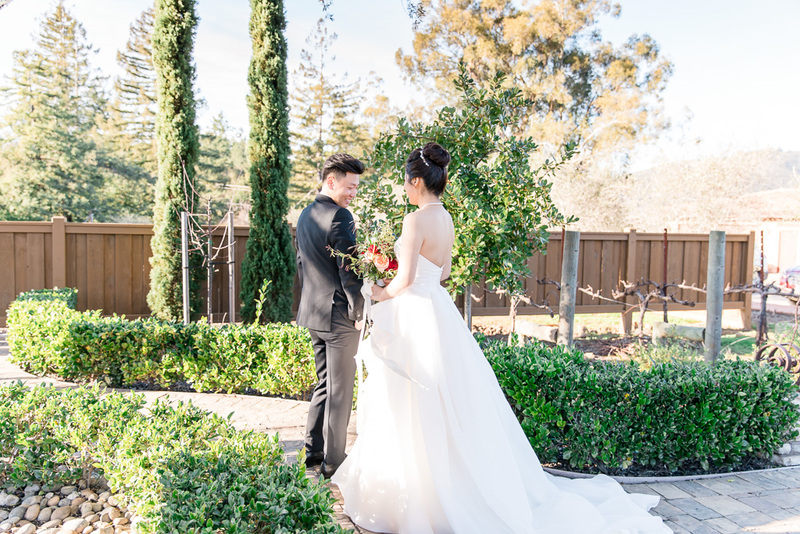 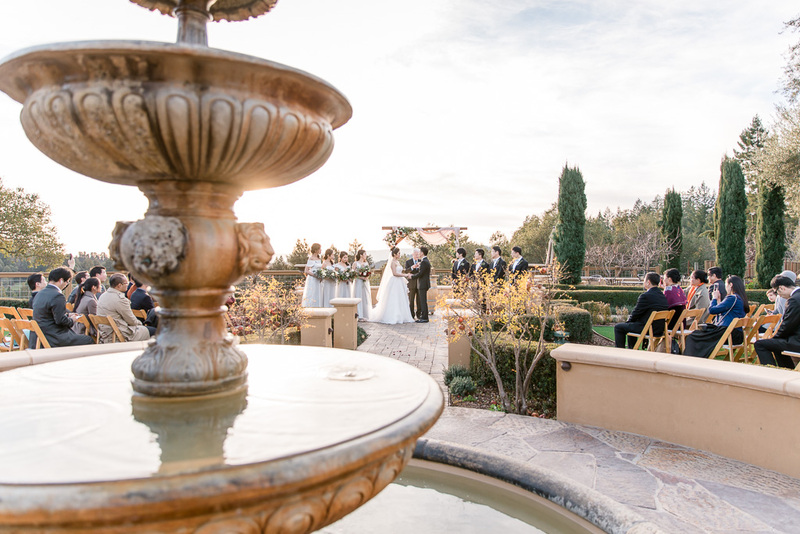 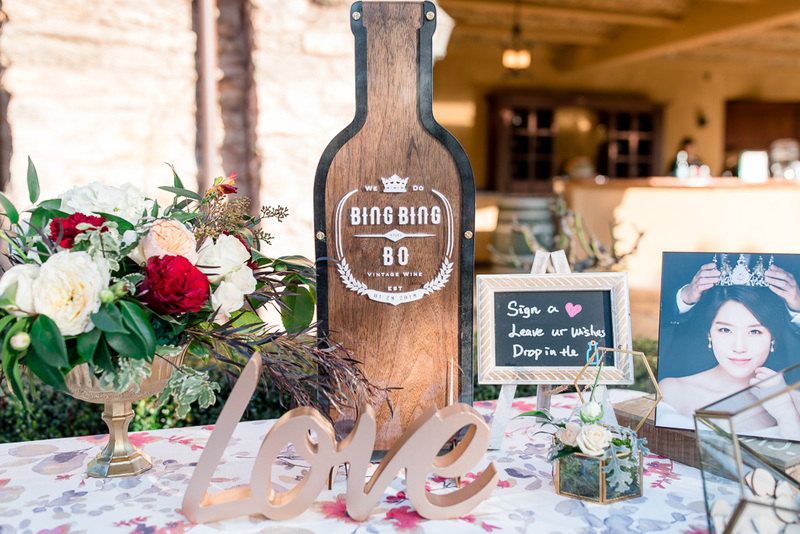 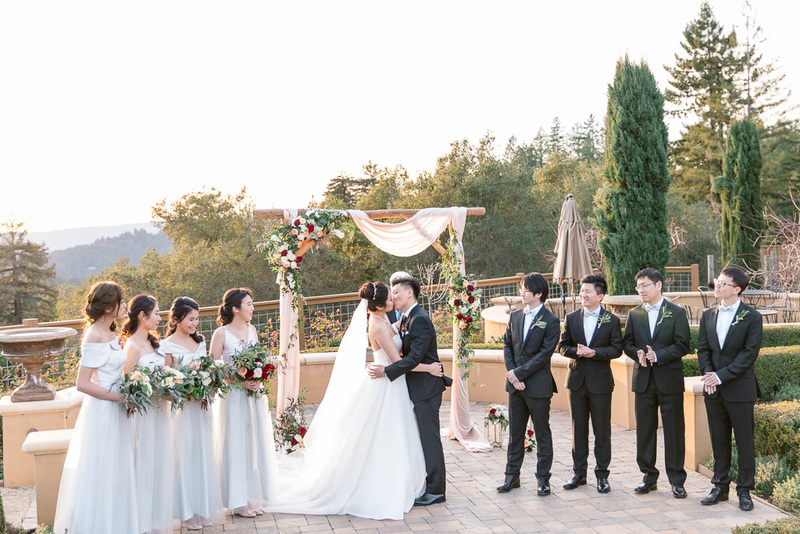 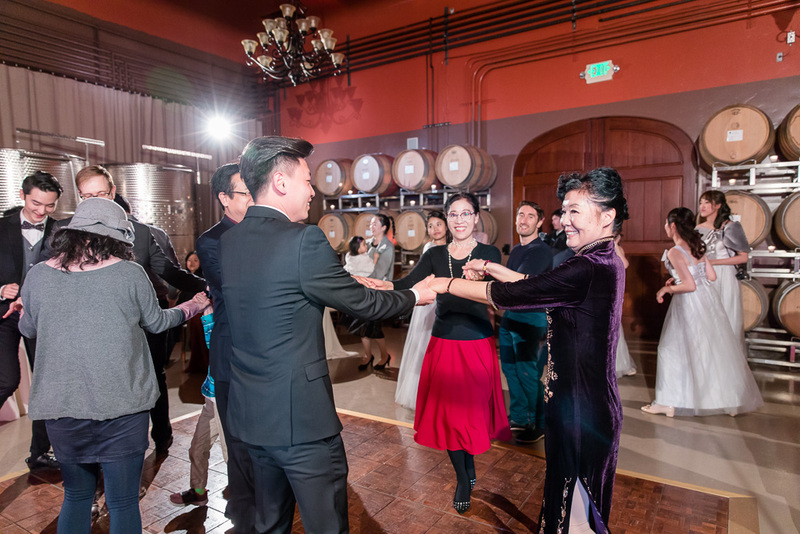 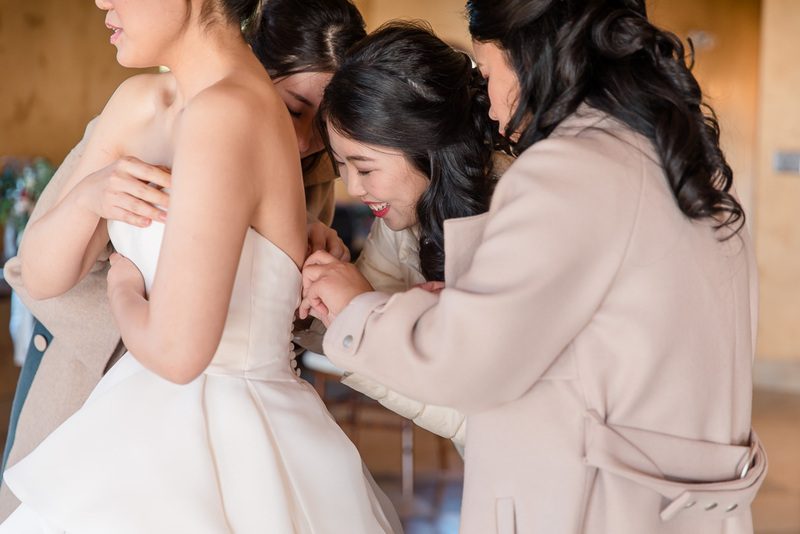 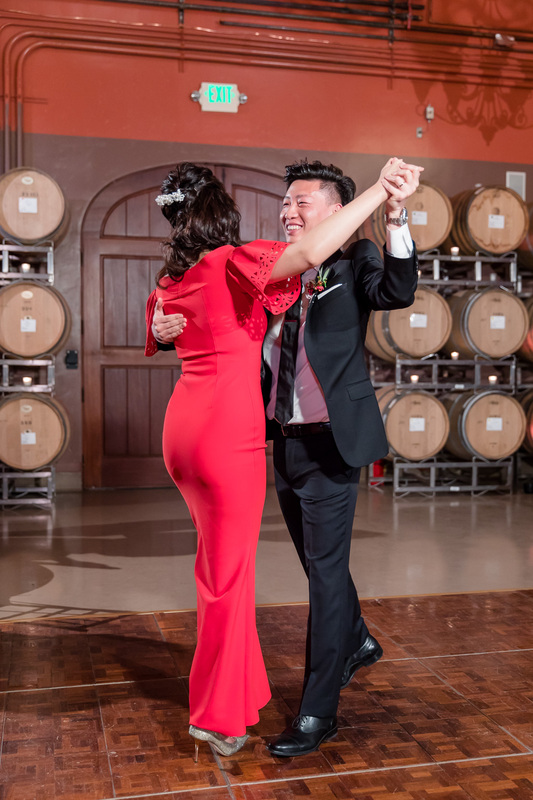 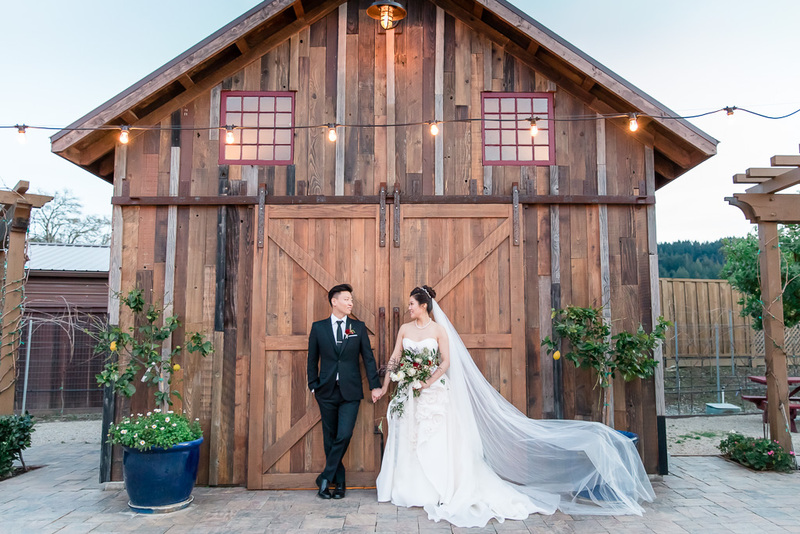 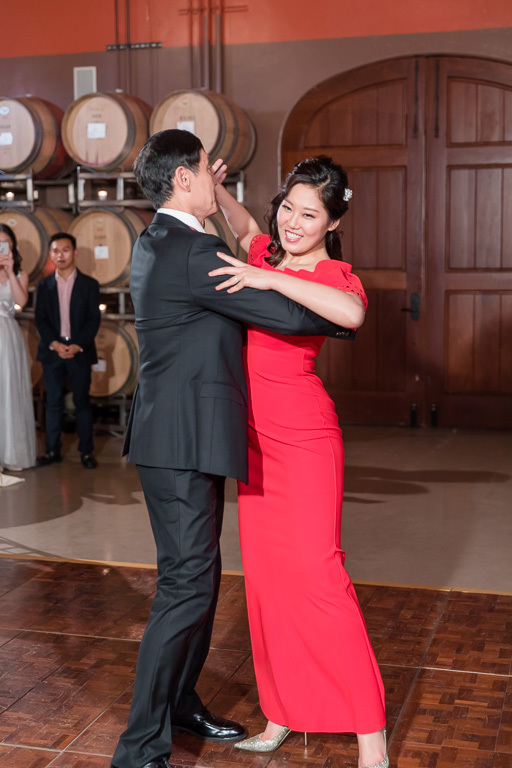 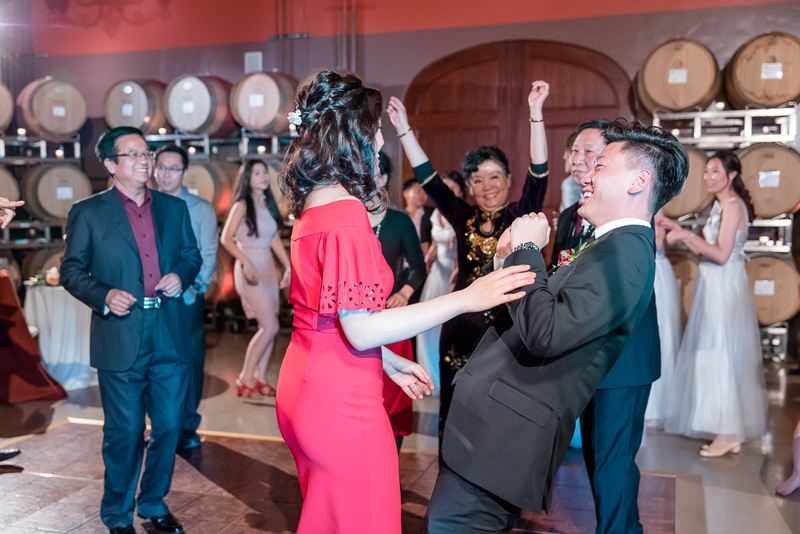 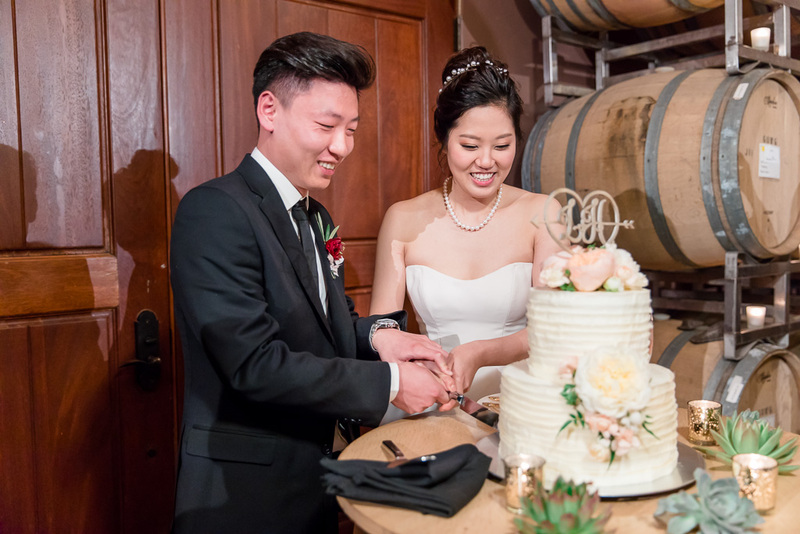 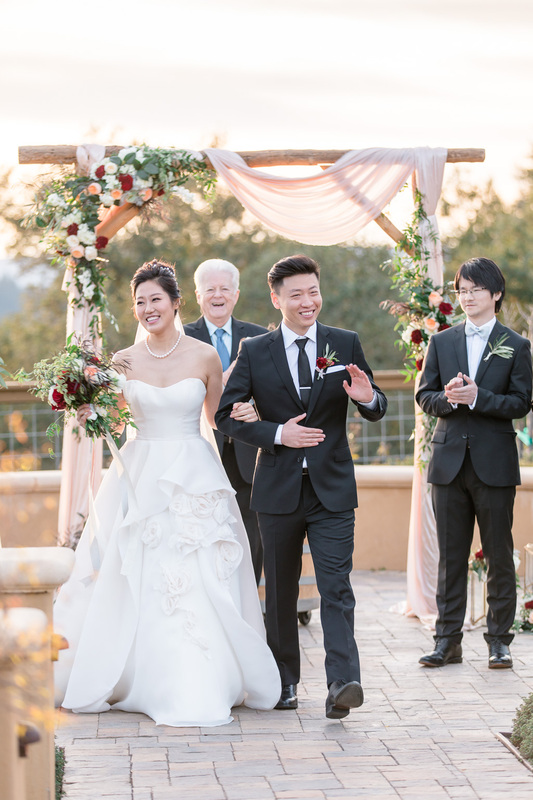 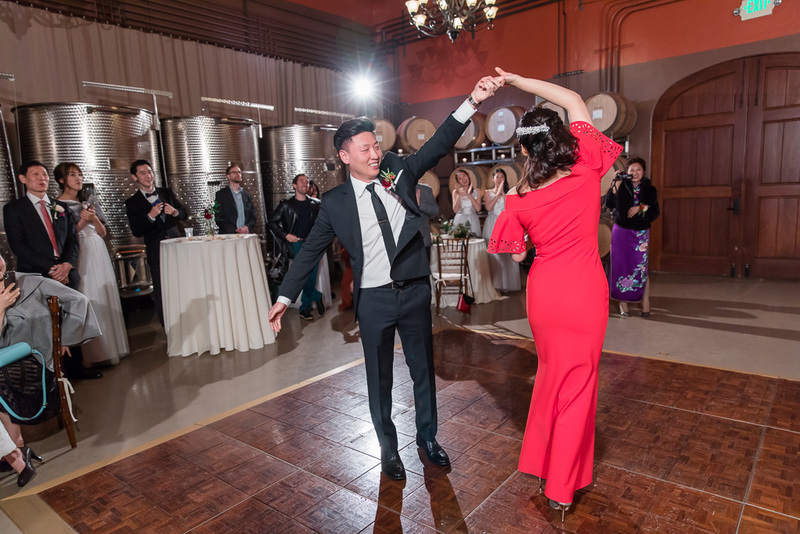 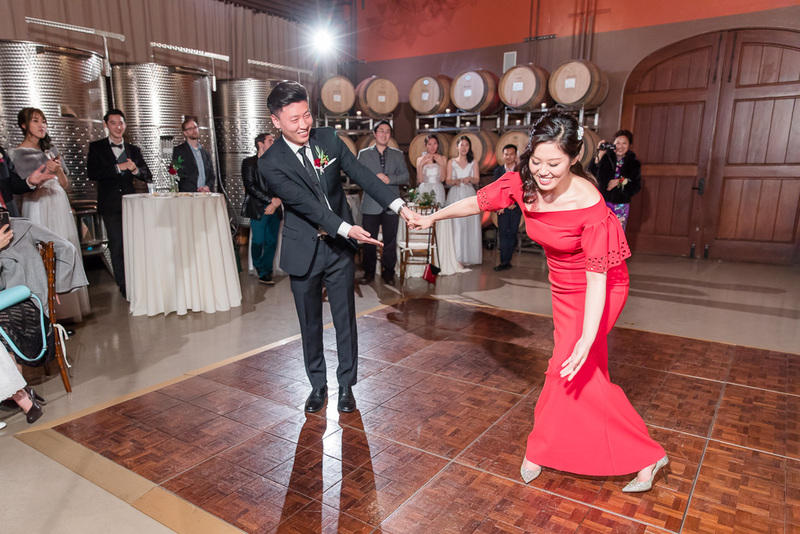 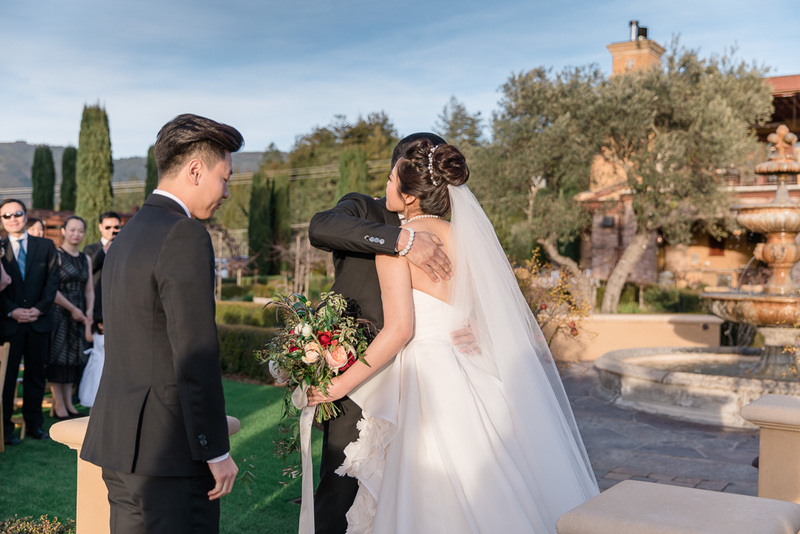 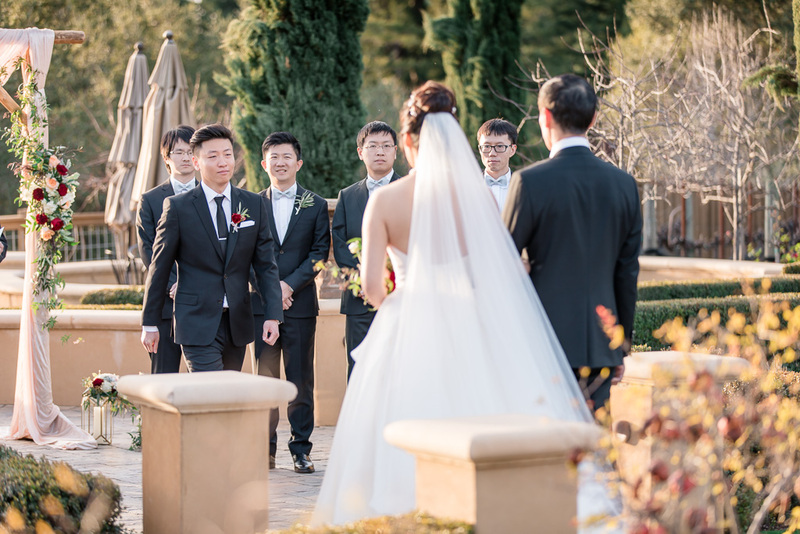 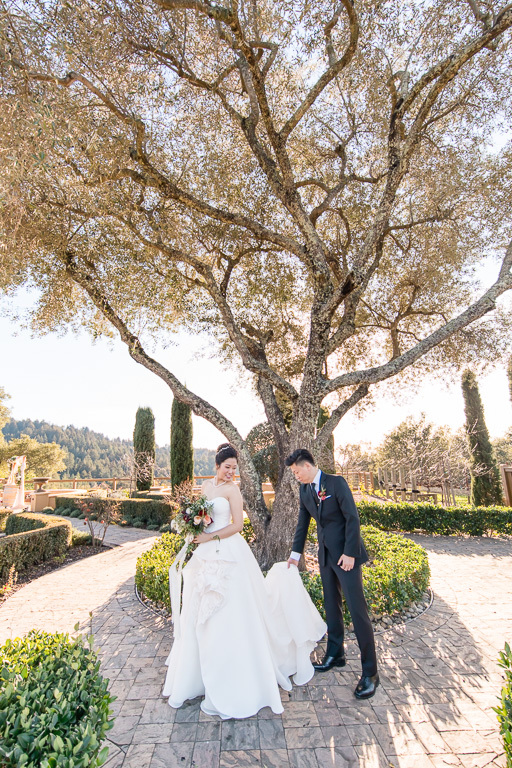 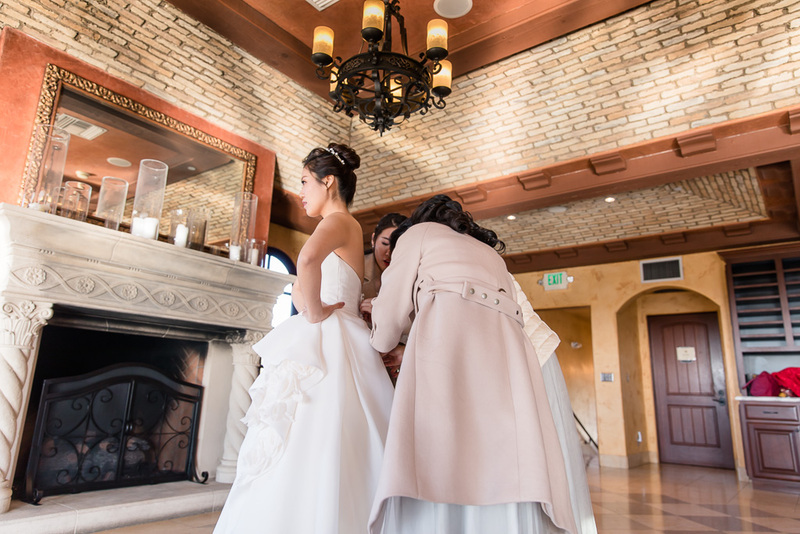 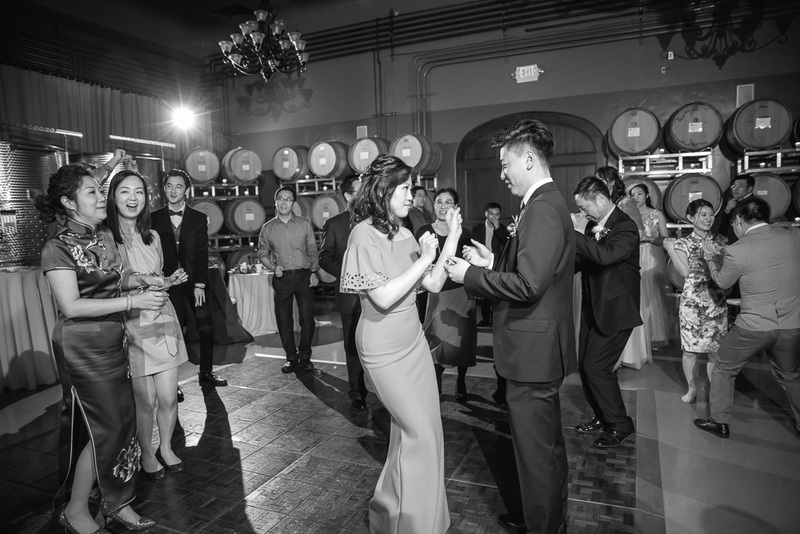 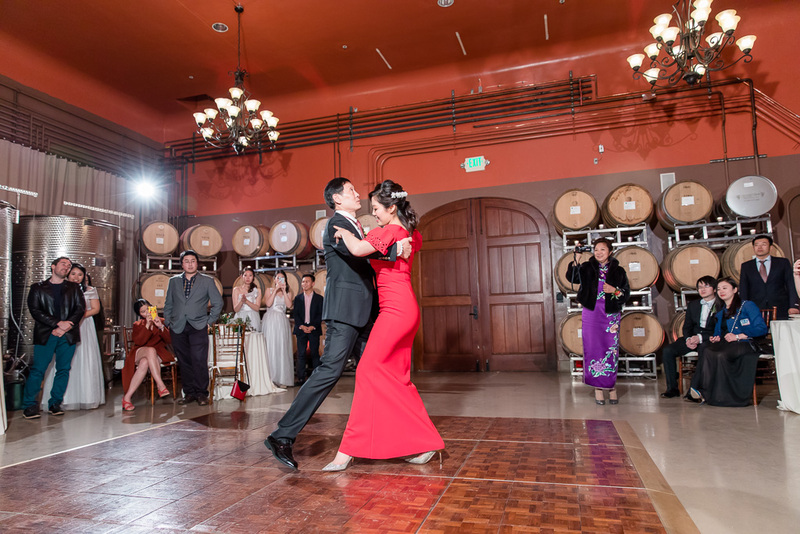 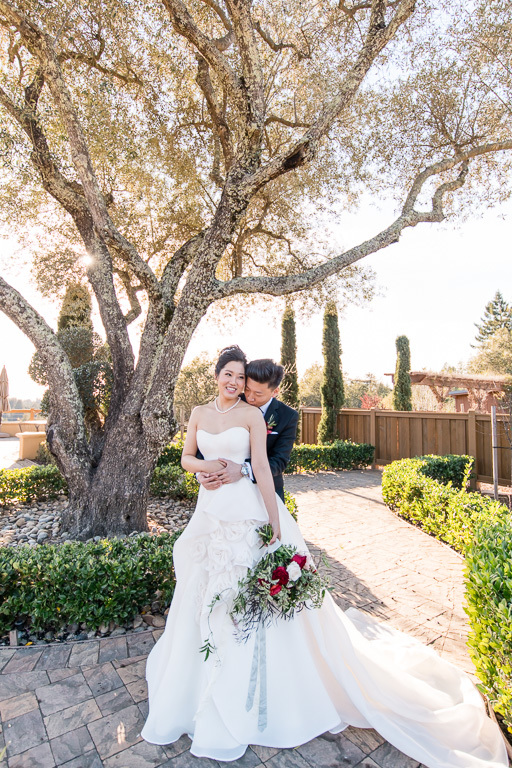 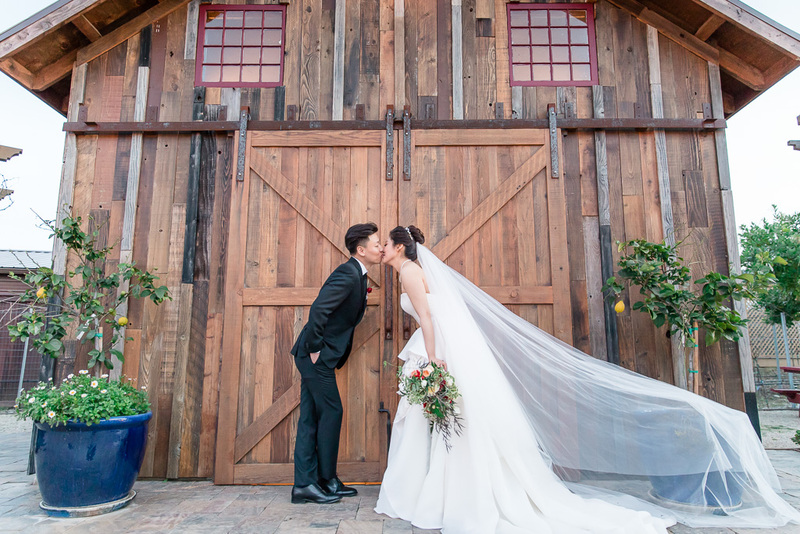 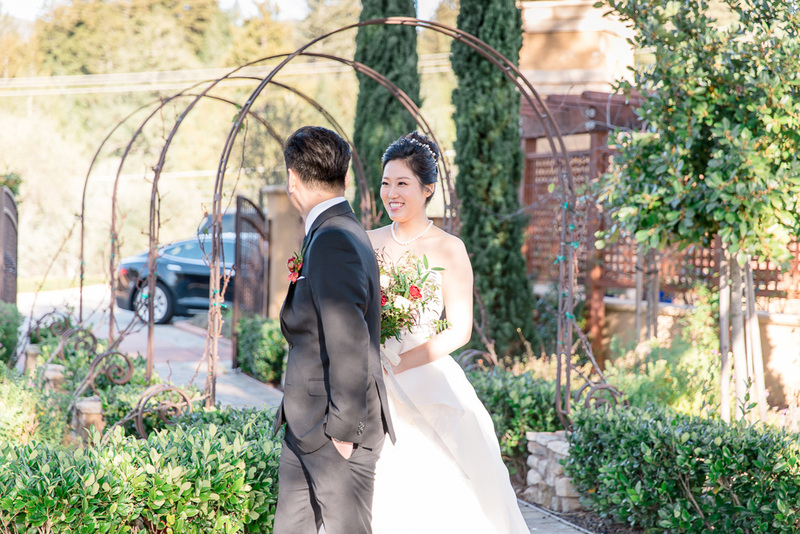 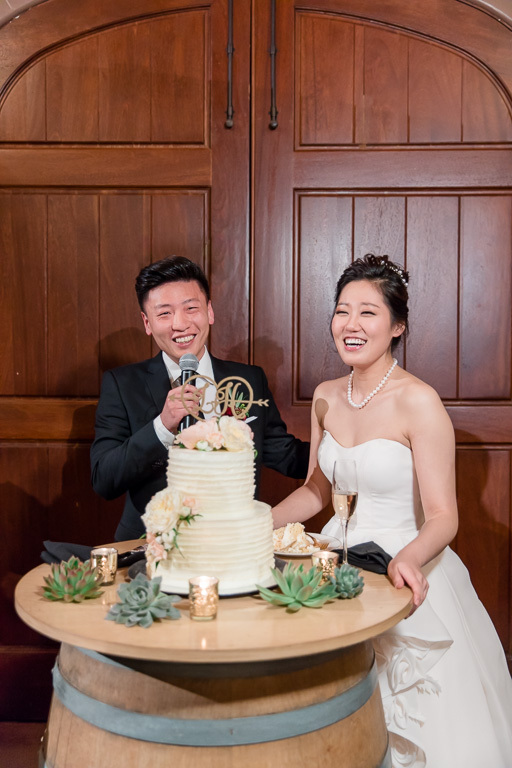 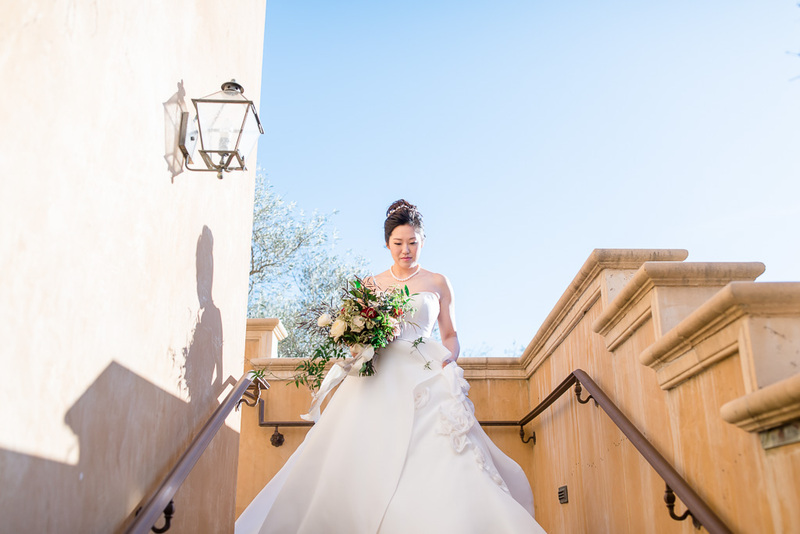 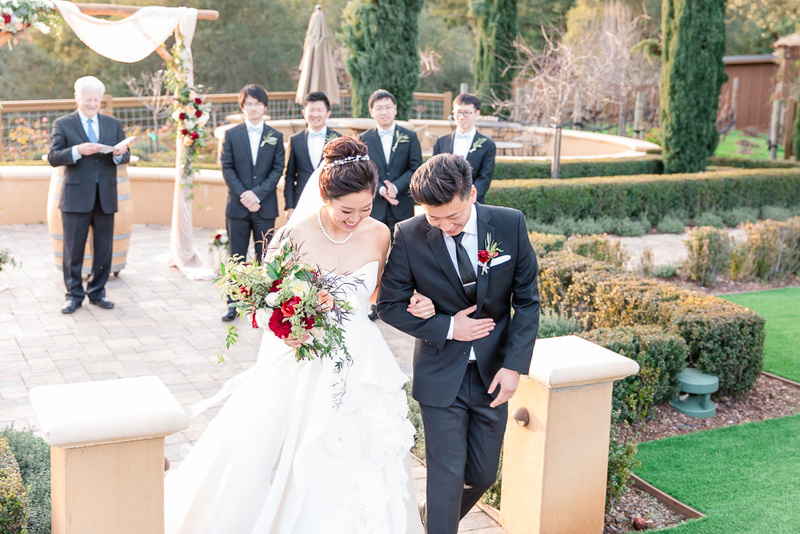 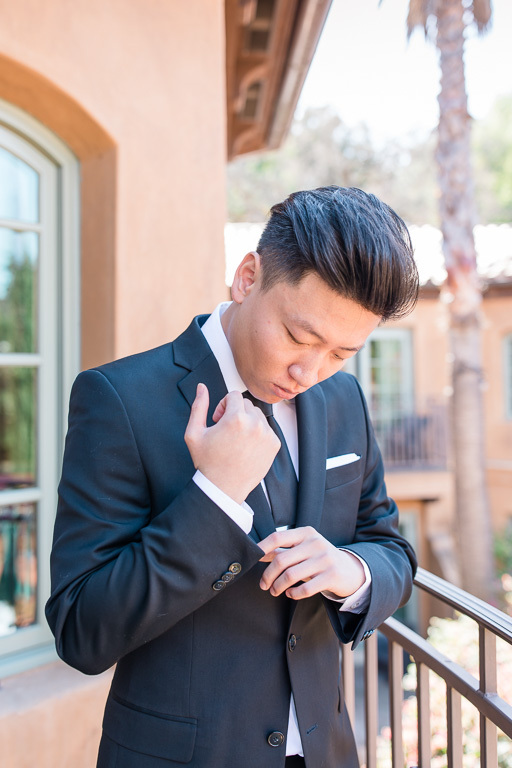 Bo & Bingbing’s wedding day started off at Hotel Los Gatos, where they began by getting ready with the wedding party. 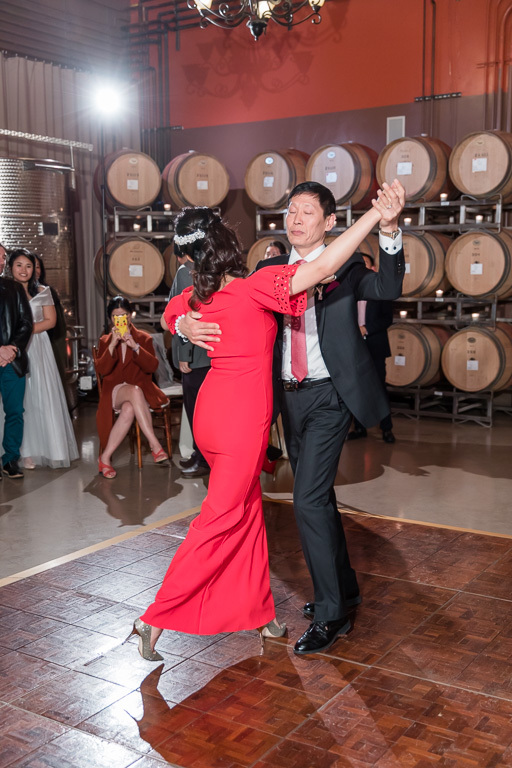 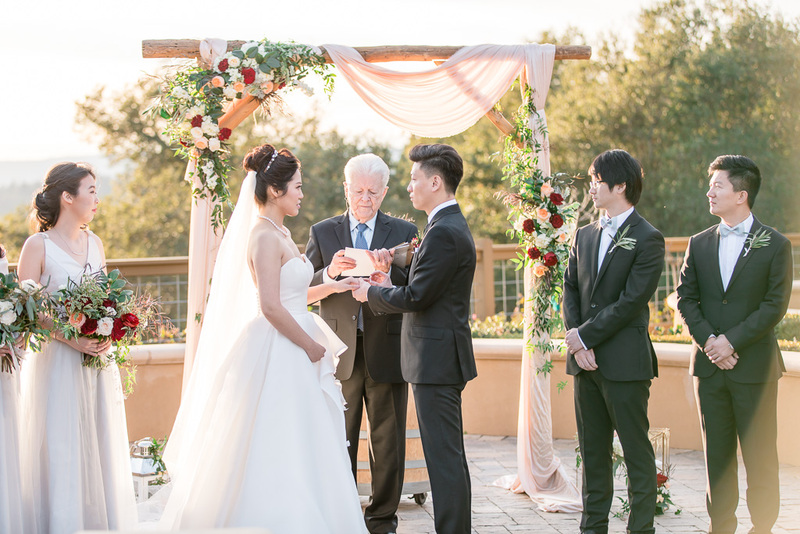 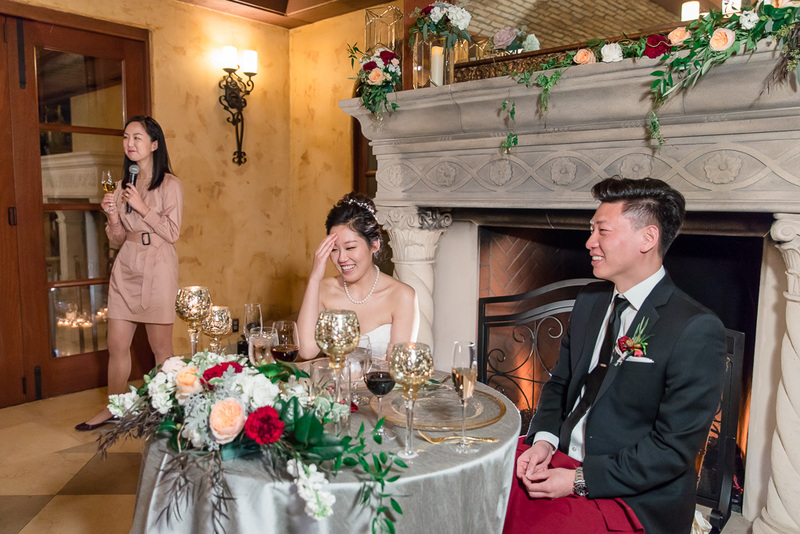 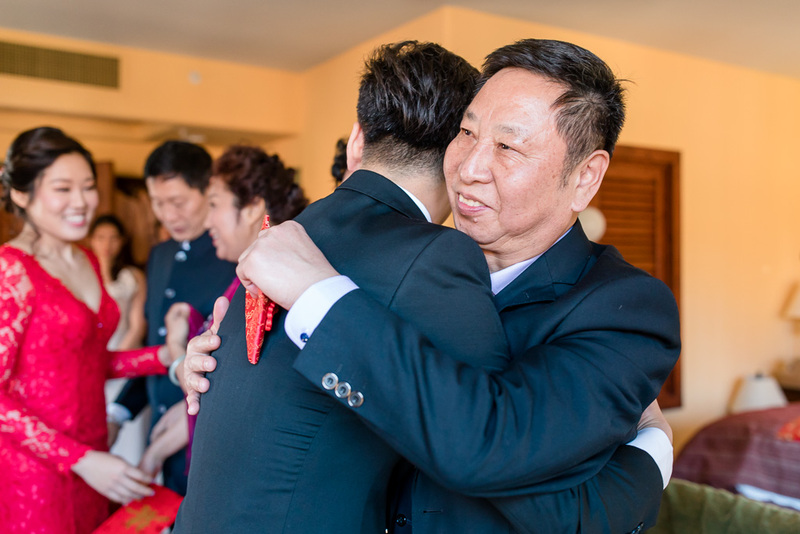 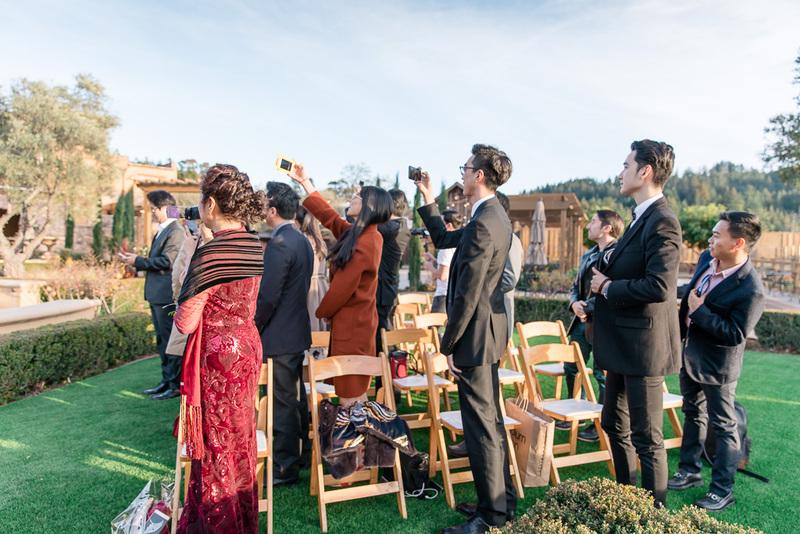 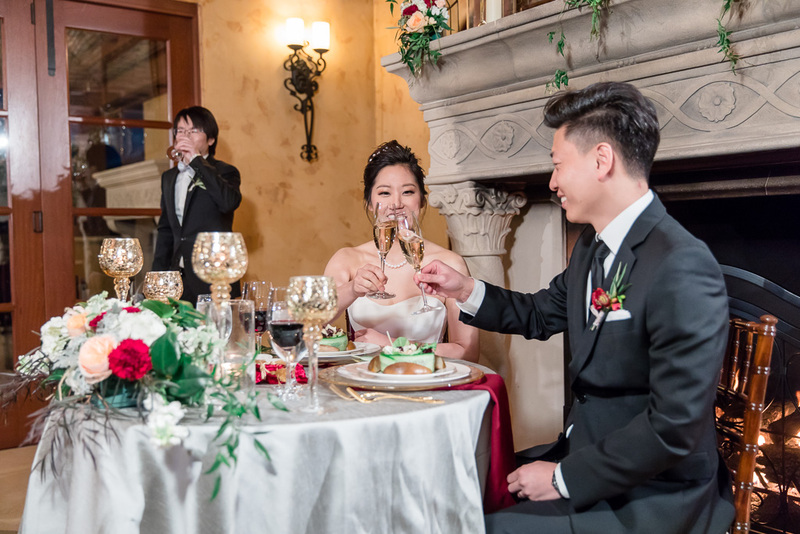 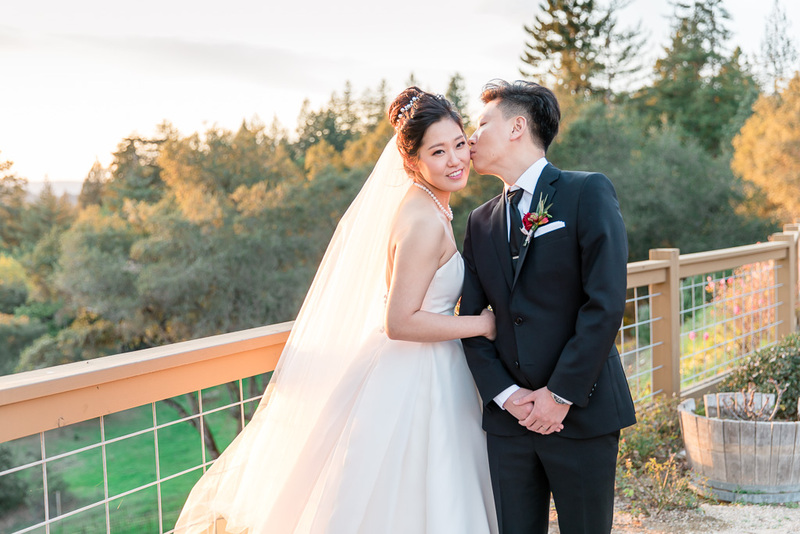 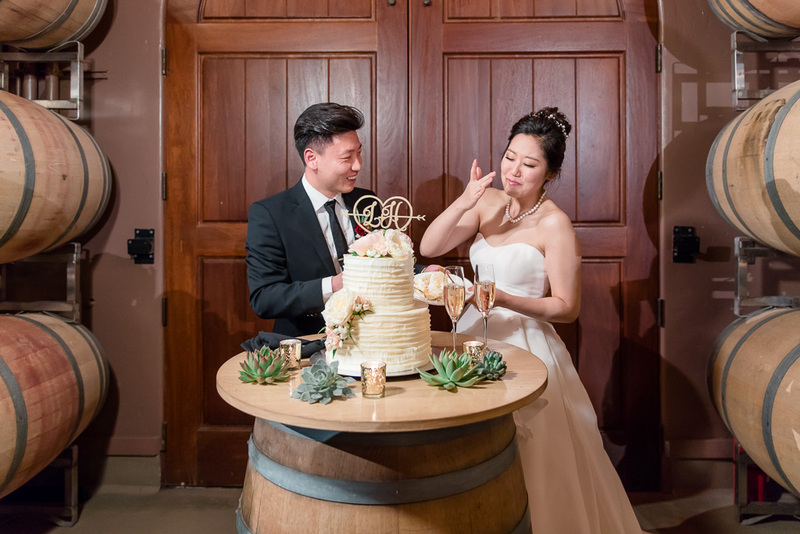 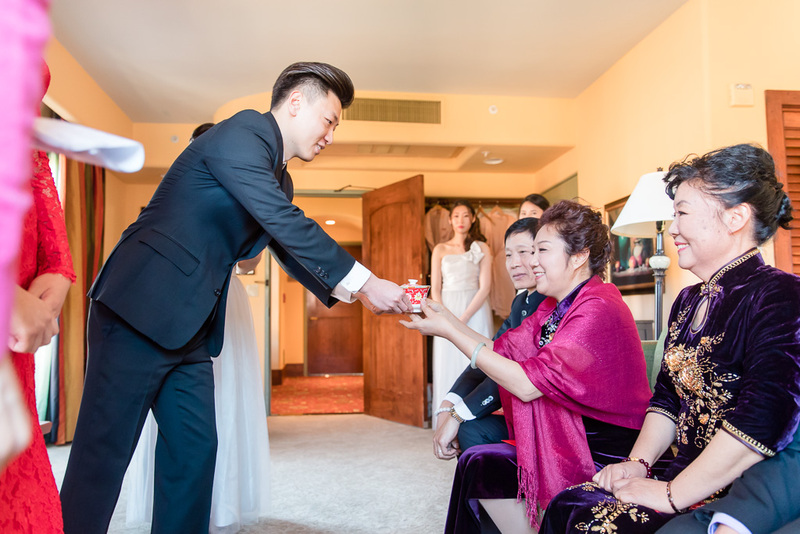 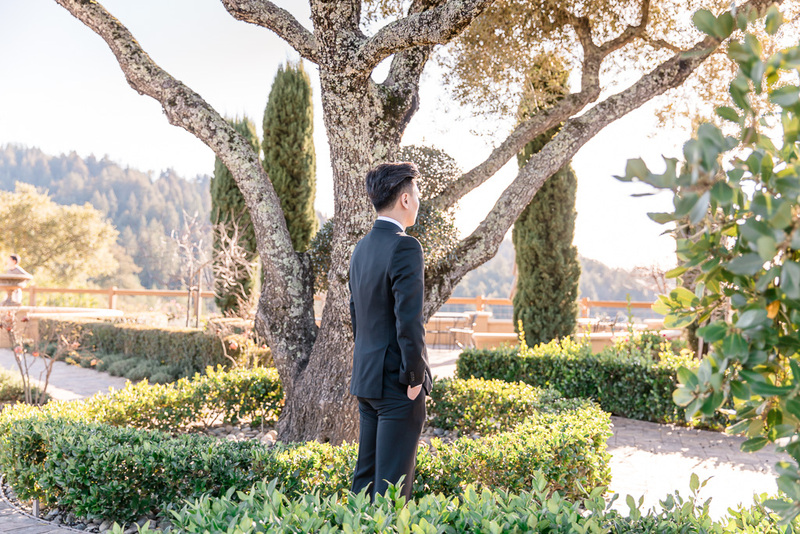 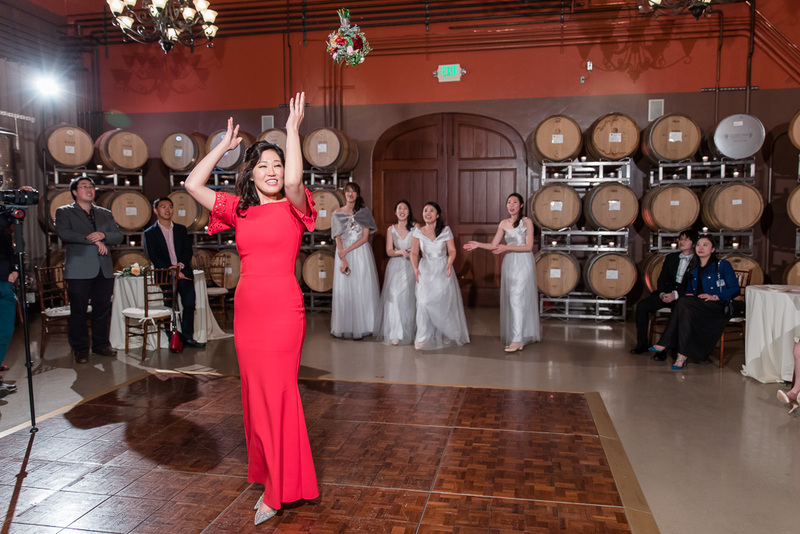 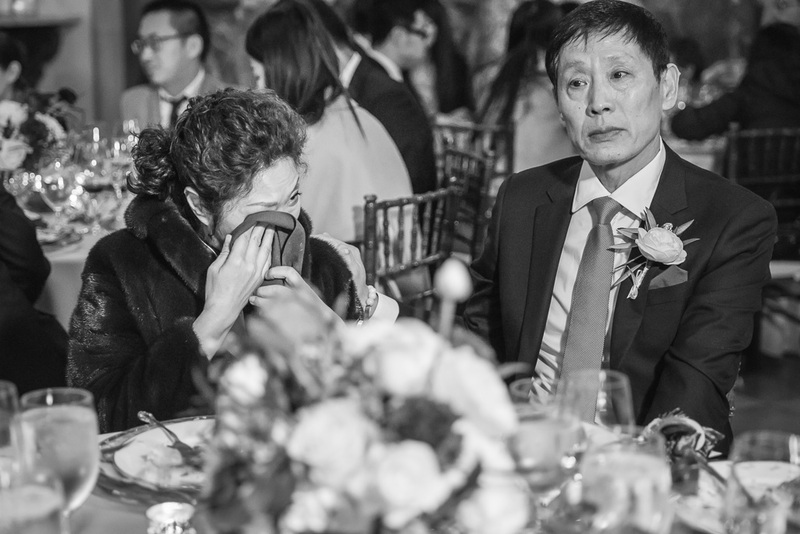 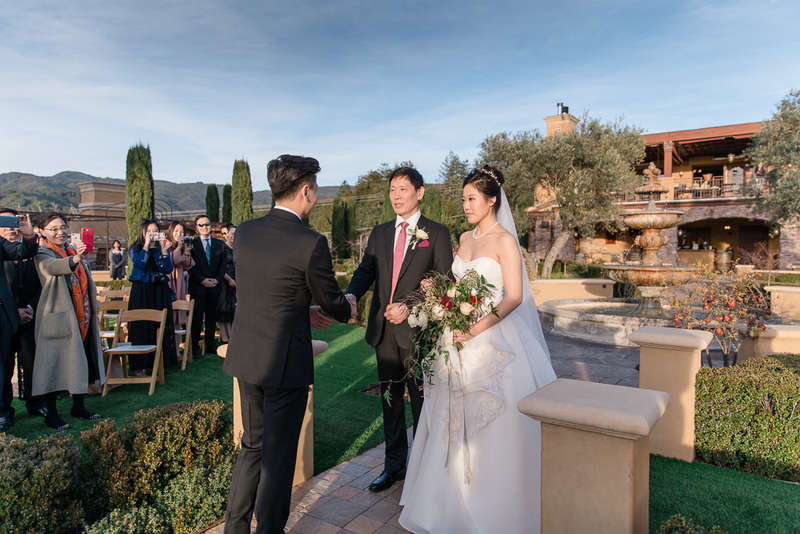 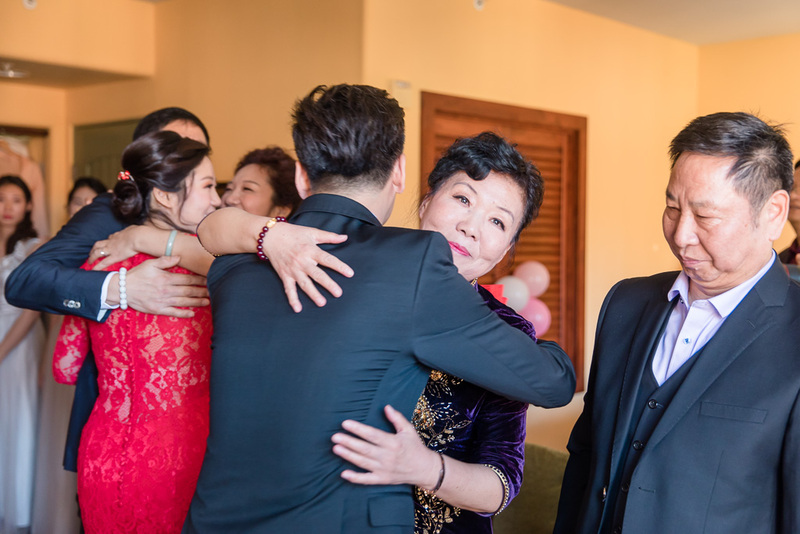 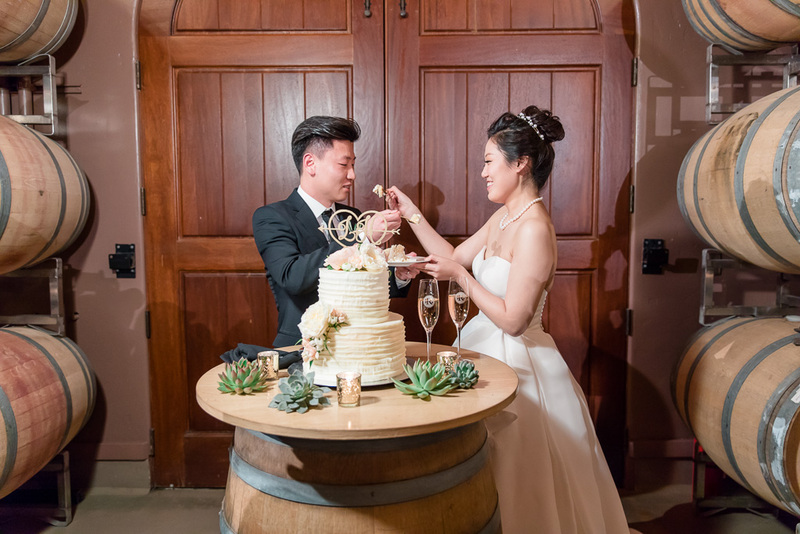 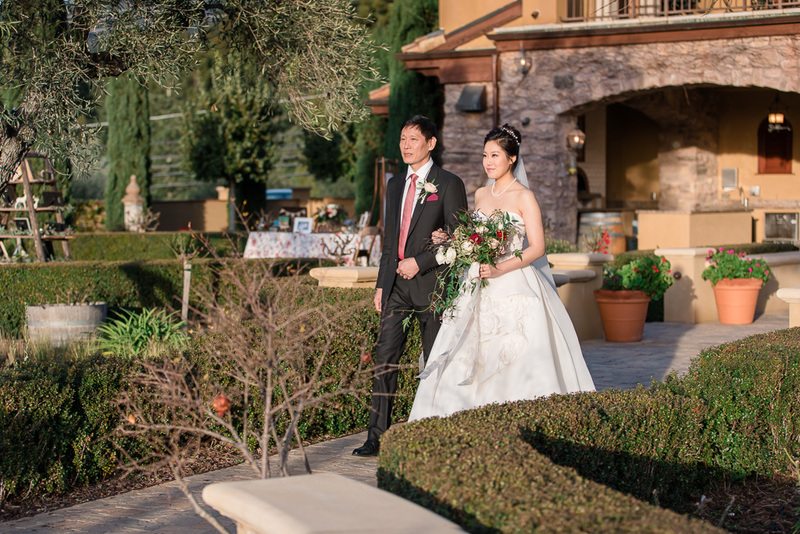 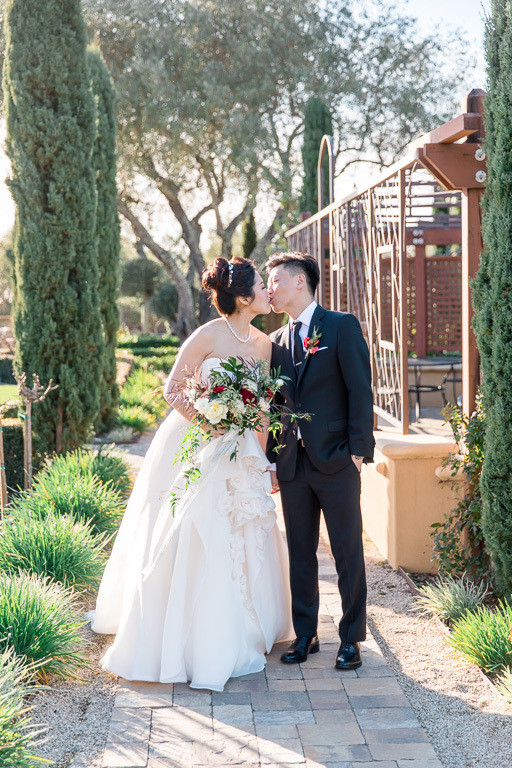 Before heading out for their Regale Winery & Vineyards wedding ceremony and reception, they had a Chinese tea ceremony at the hotel with their parents. 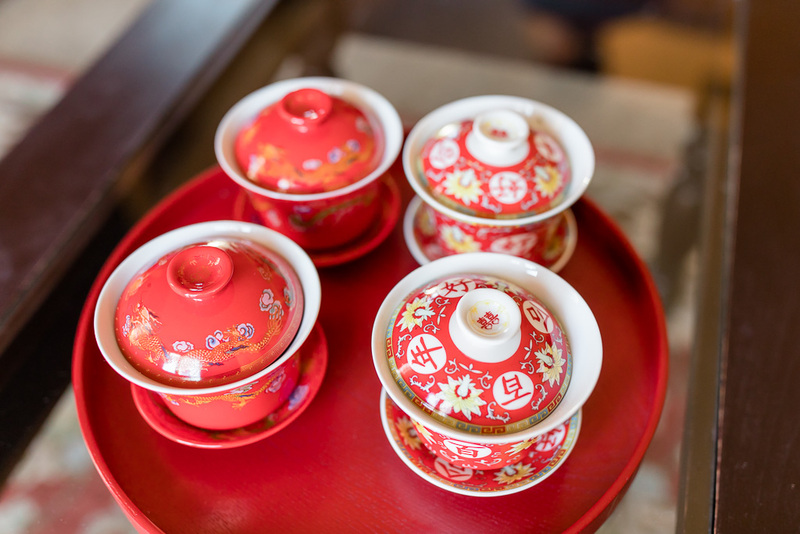 The tea ceremony is a traditional Chinese event, yet the aunt hosting it kept things interesting and made it quite entertaining. 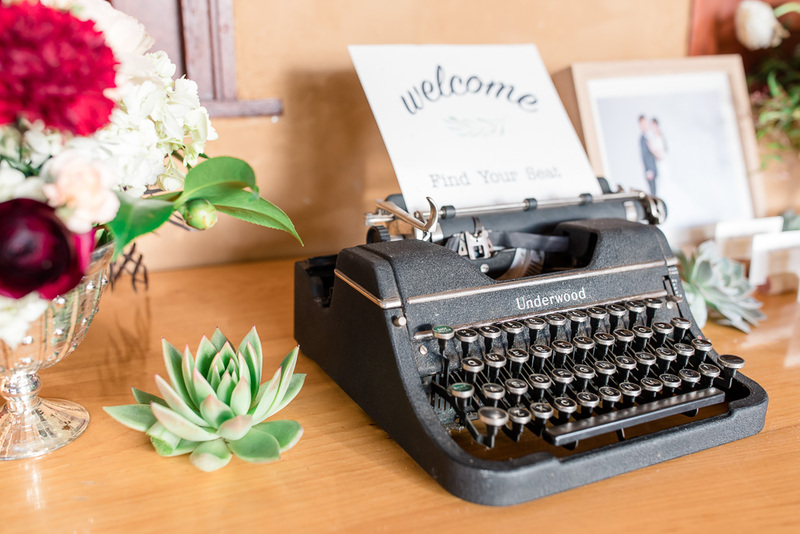 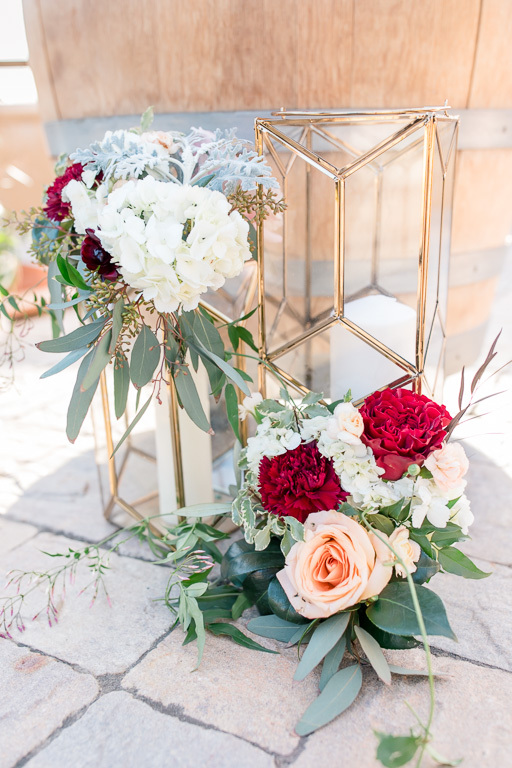 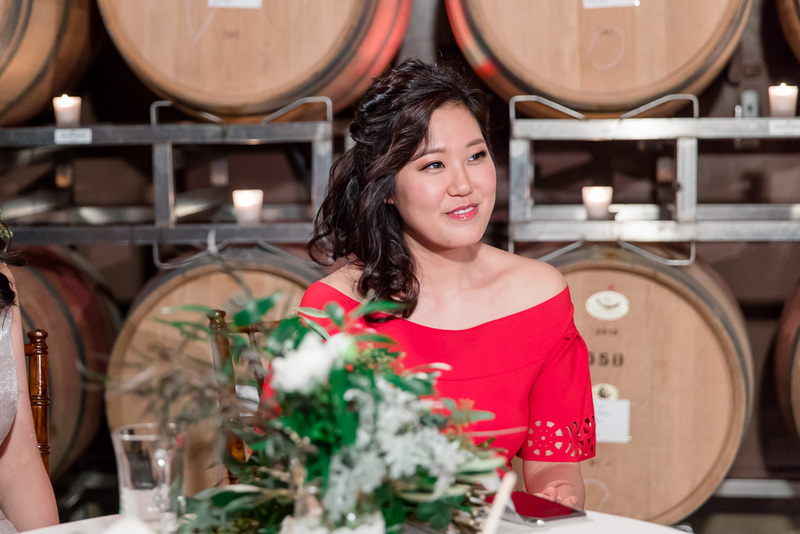 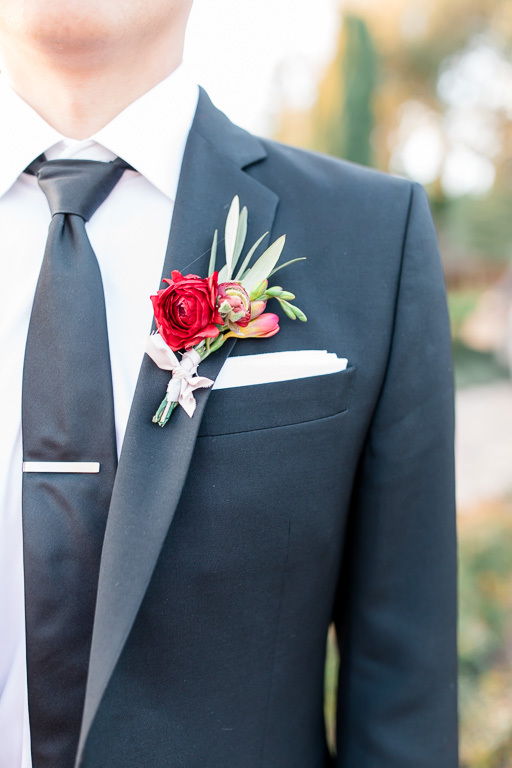 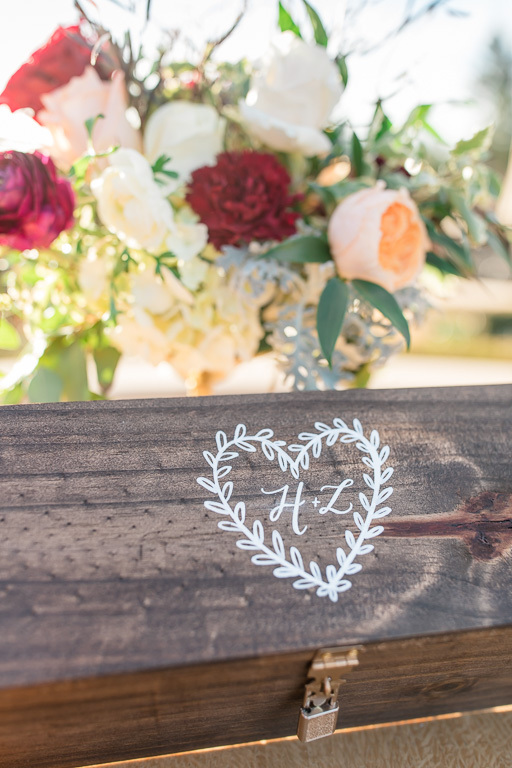 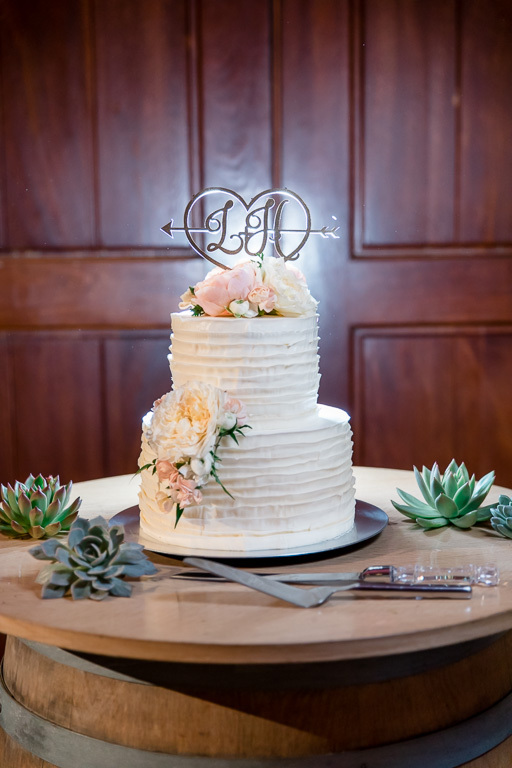 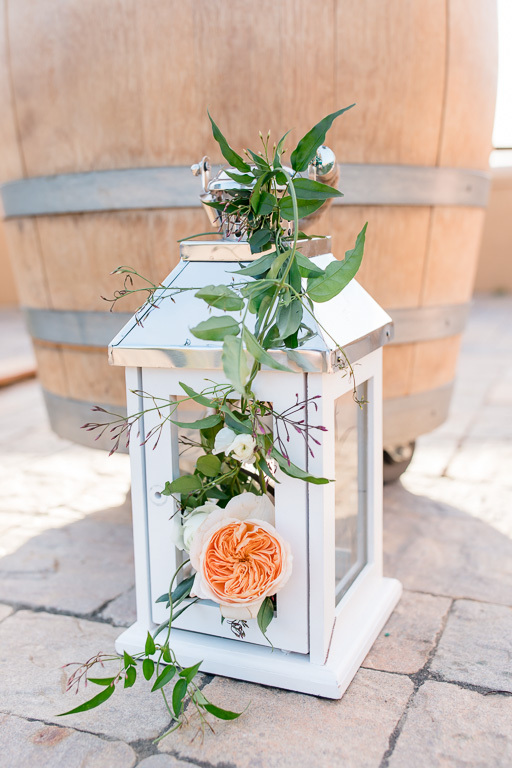 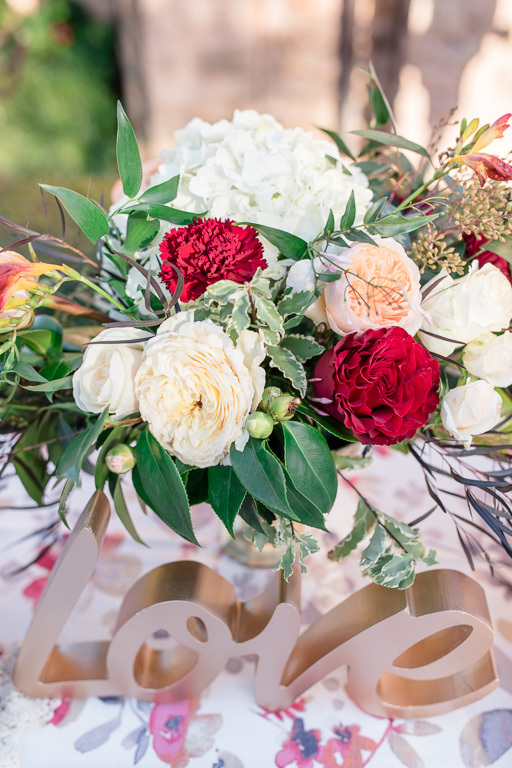 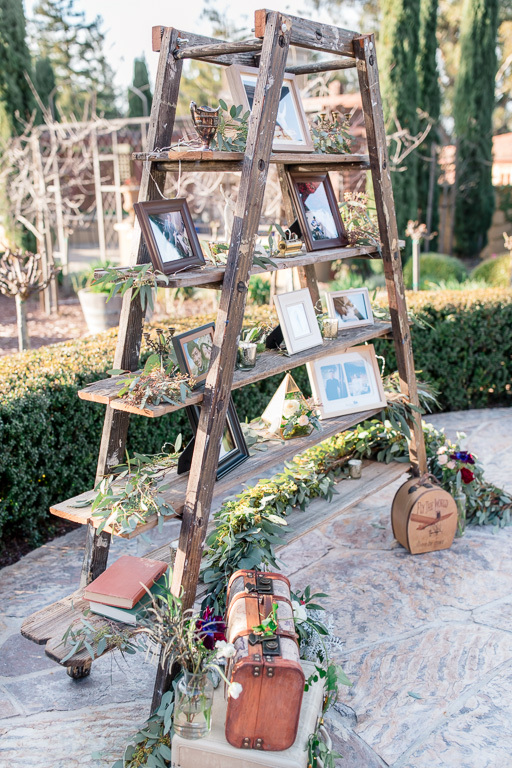 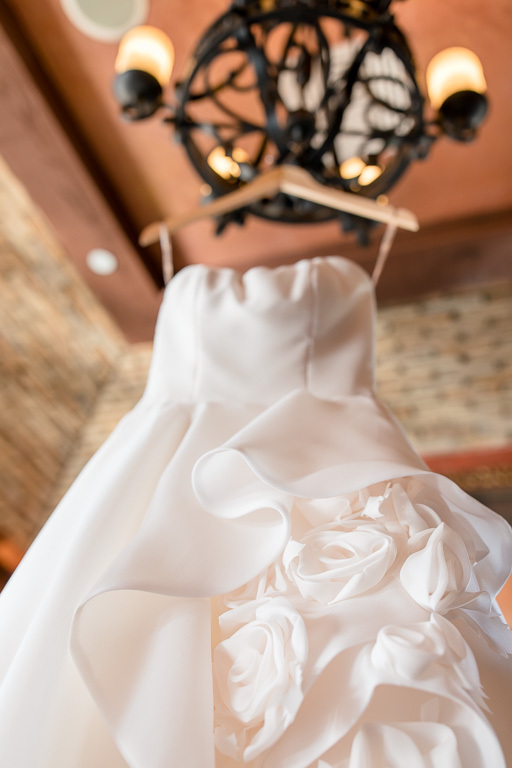 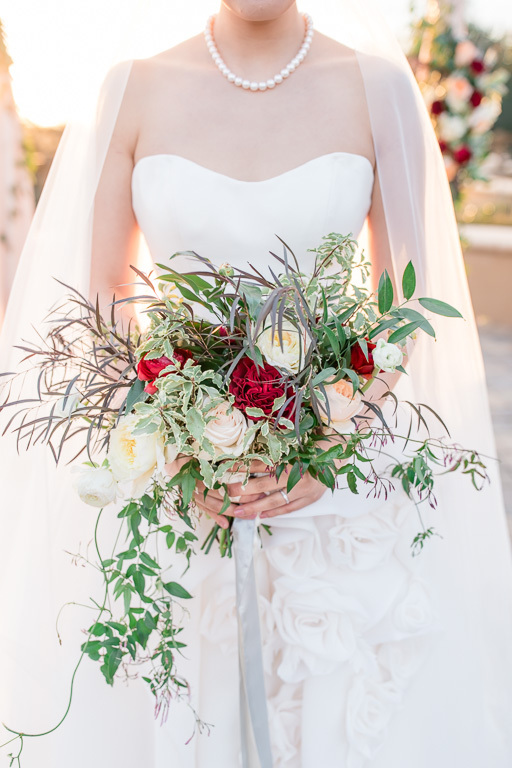 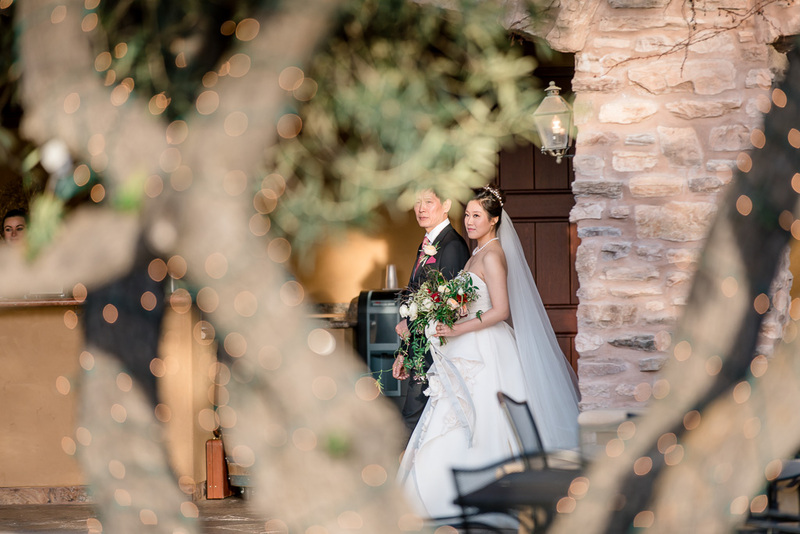 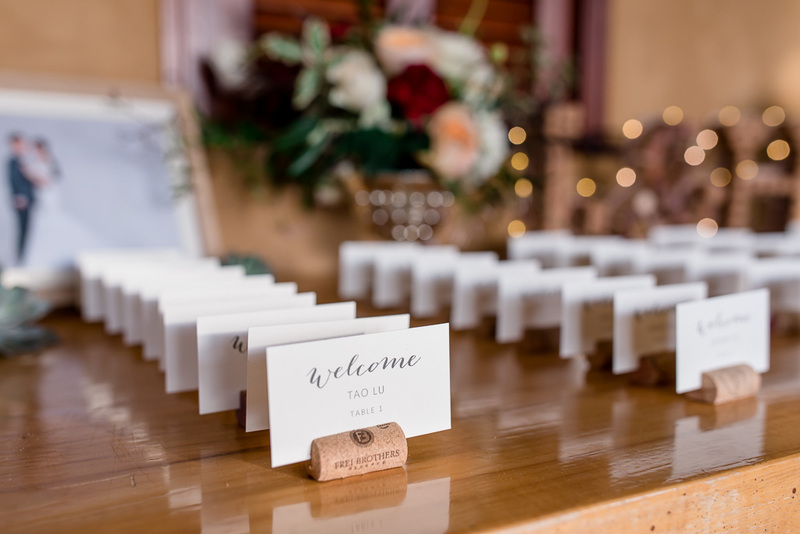 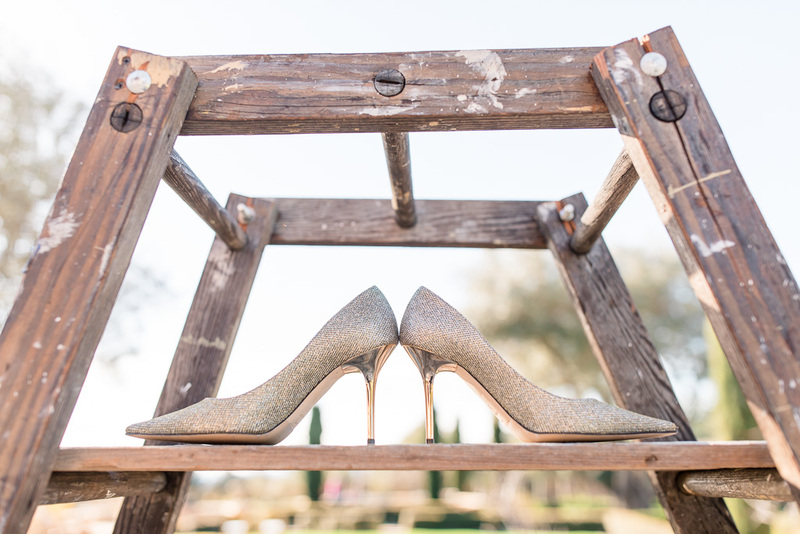 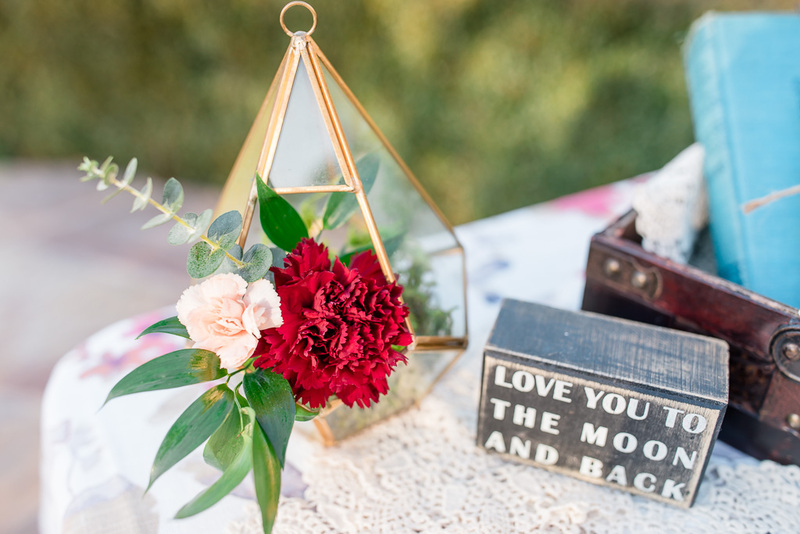 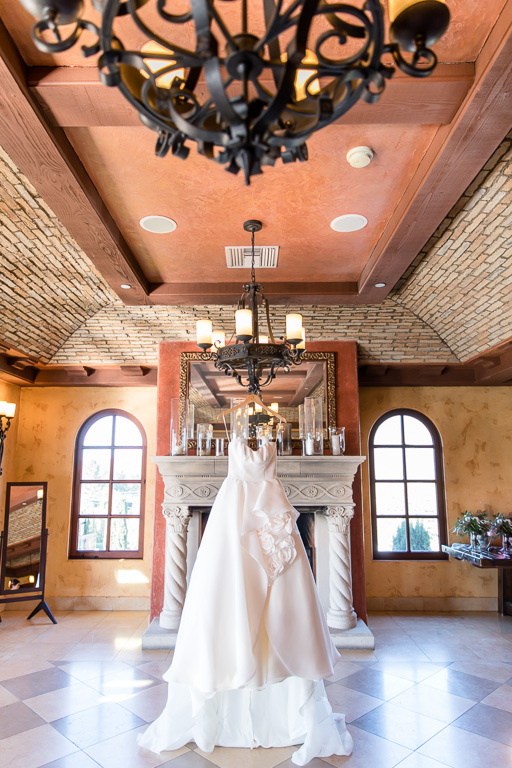 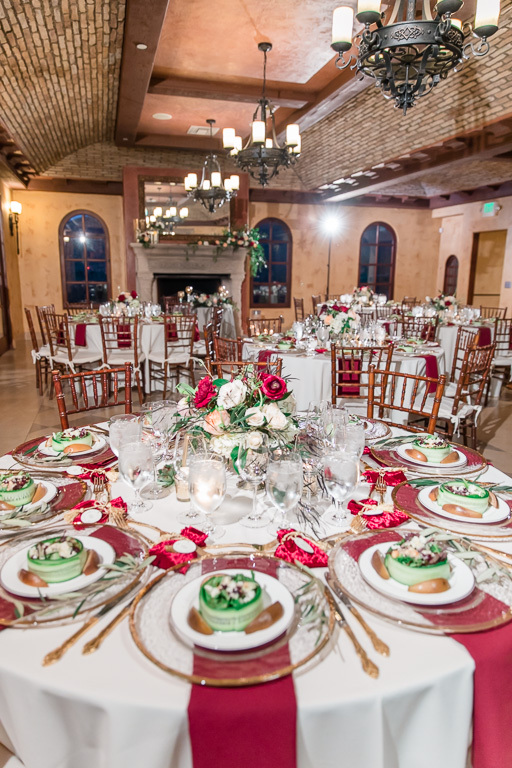 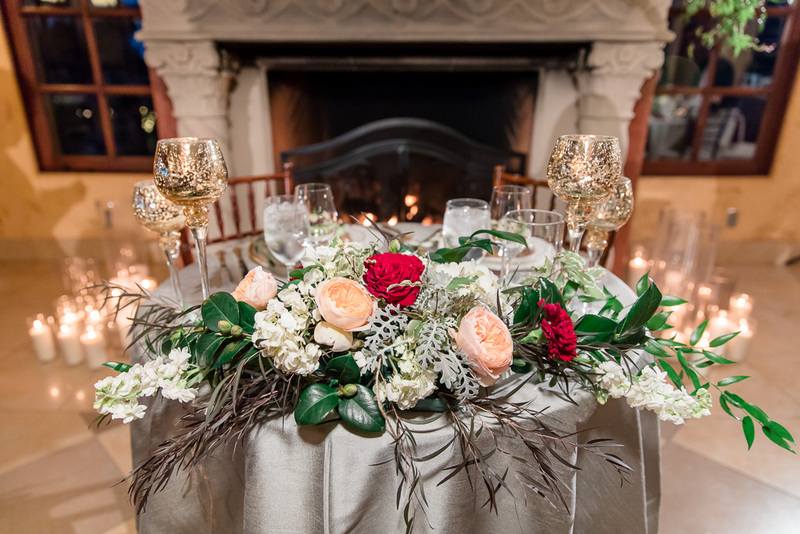 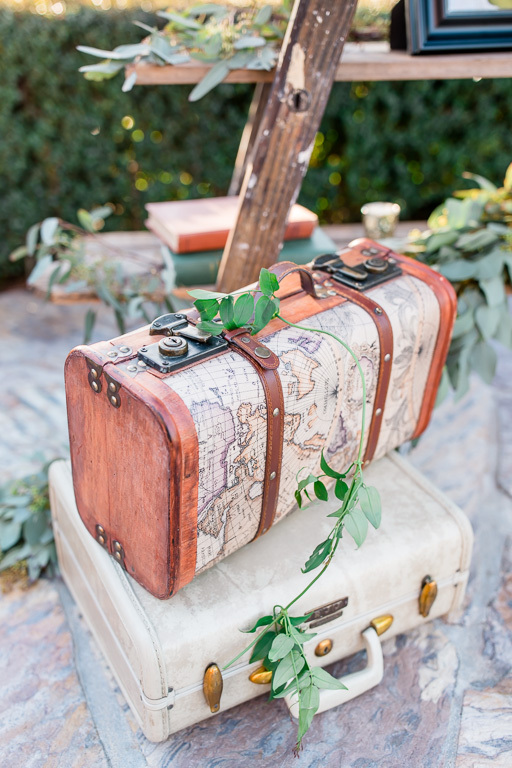 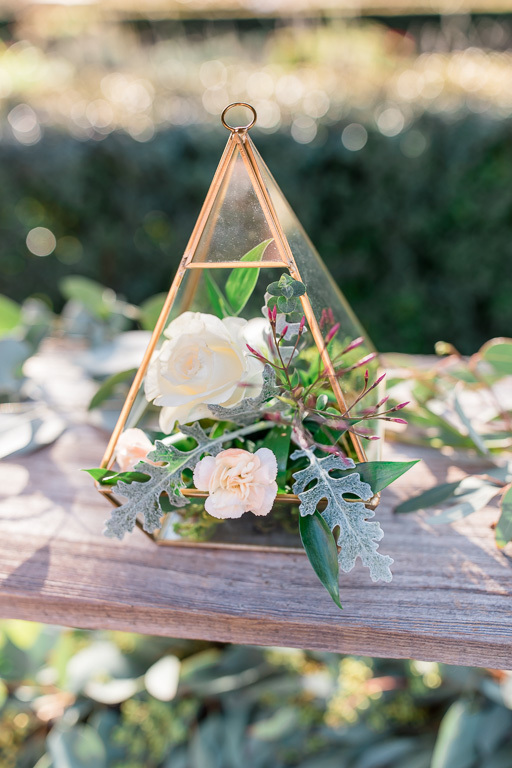 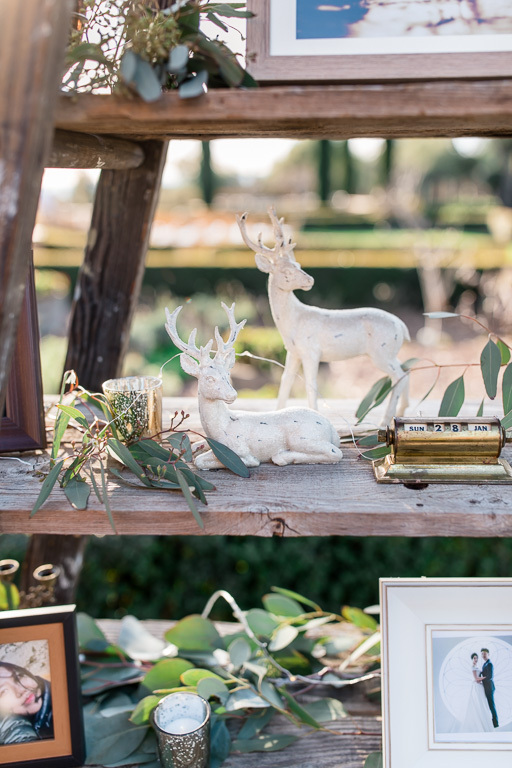 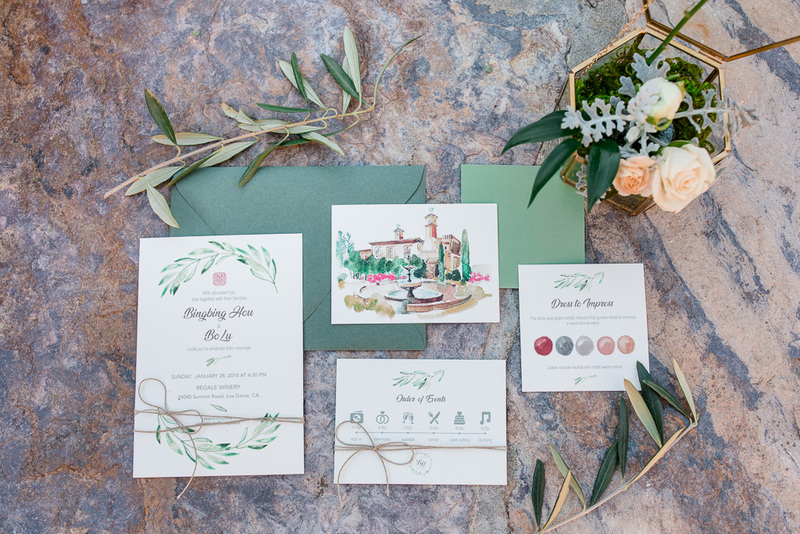 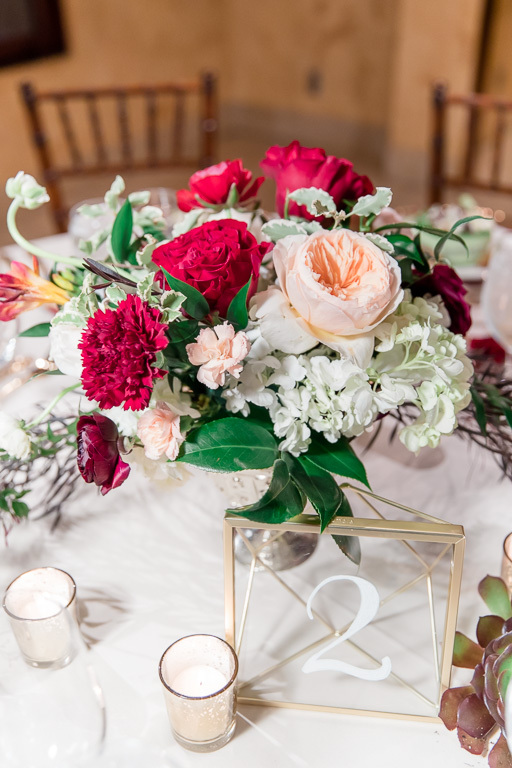 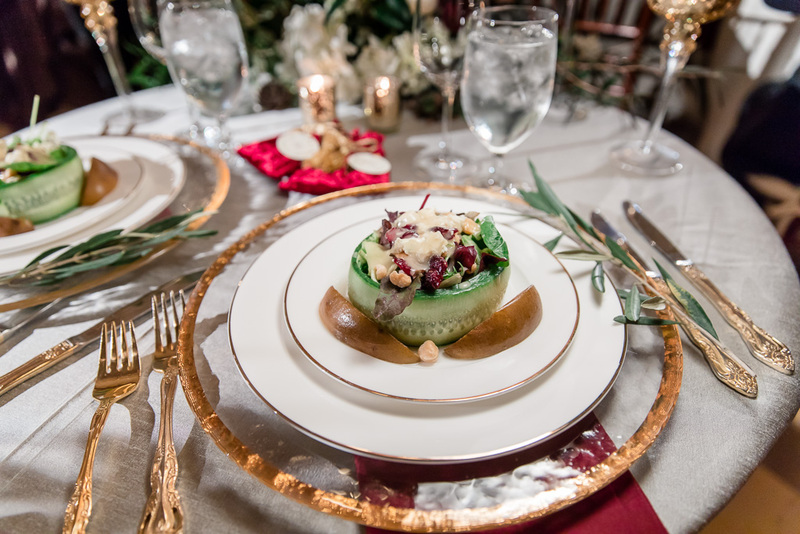 Over at Regale, their wedding venue was beautifully decorated with elegant details. 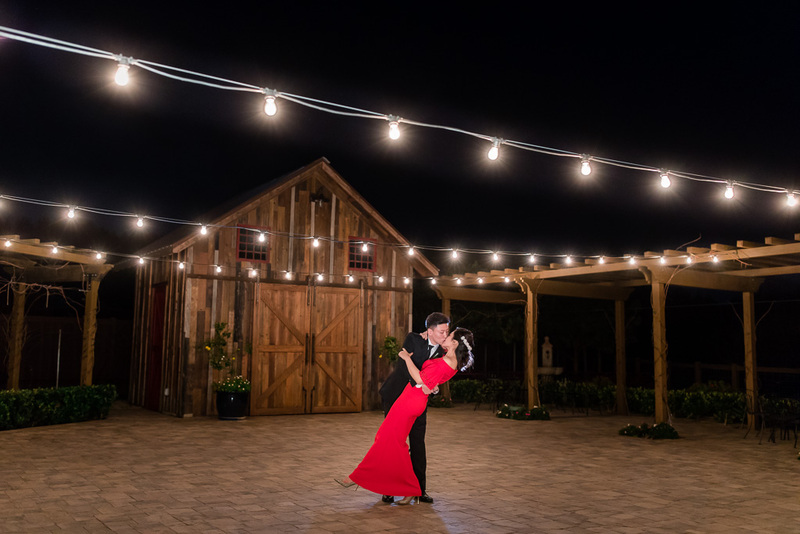 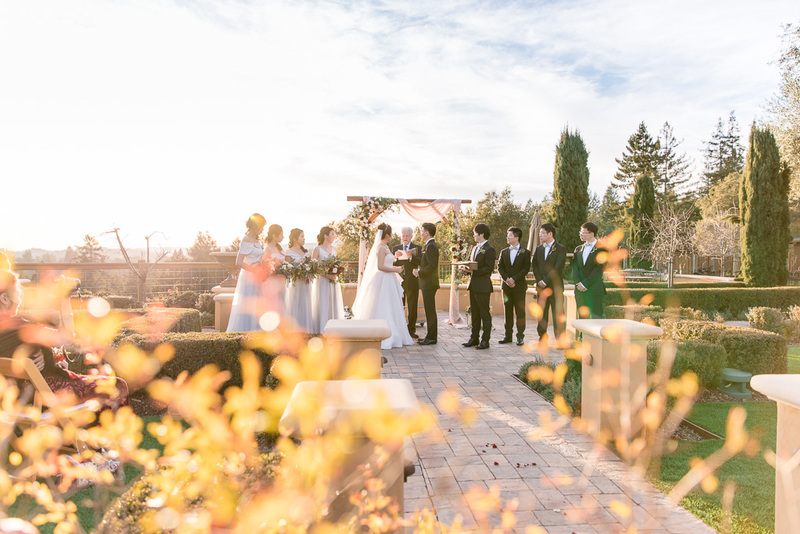 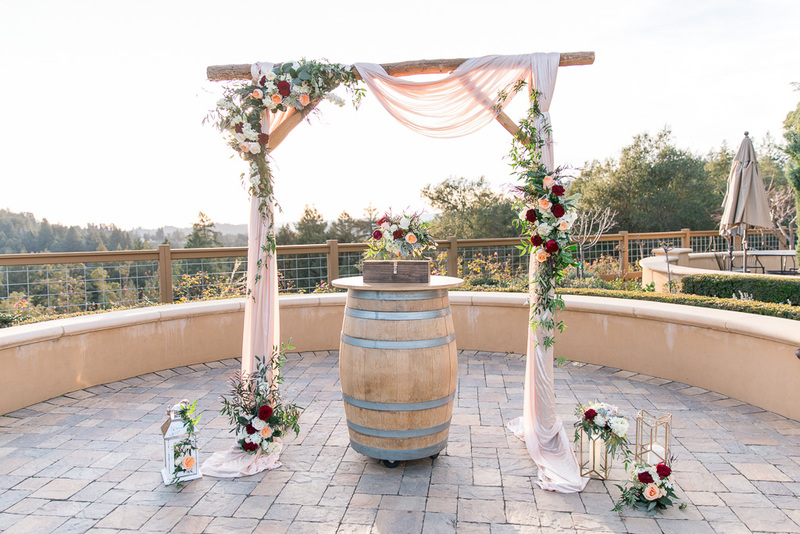 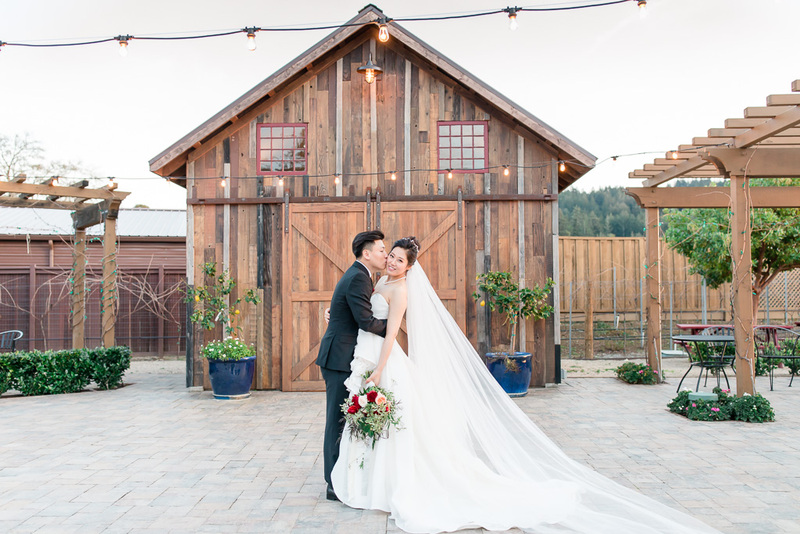 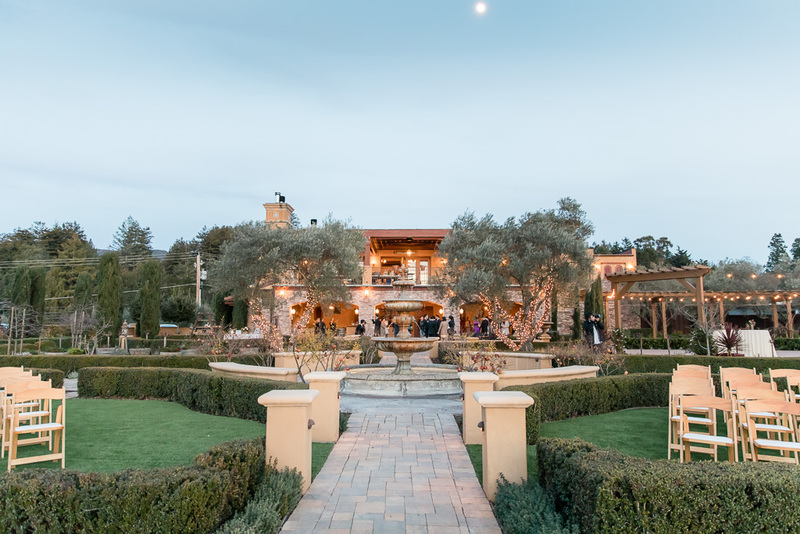 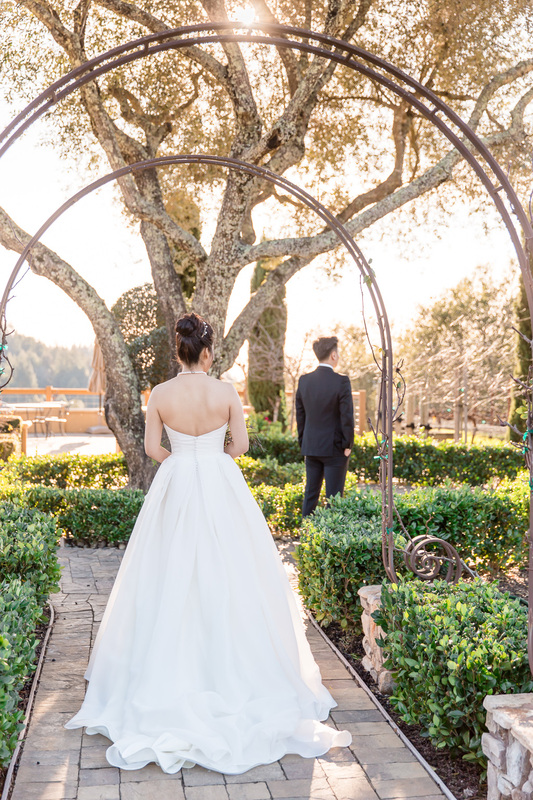 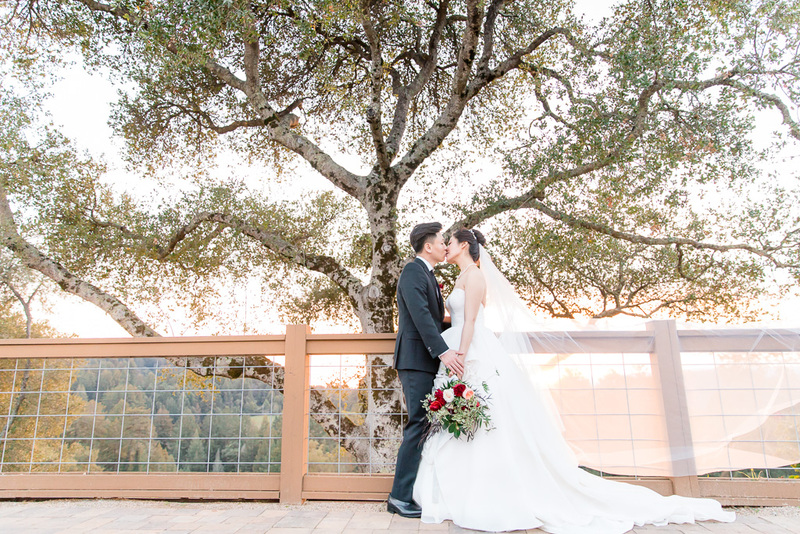 B&B had their very sweet first look there, followed by their wedding ceremony just as the sun was setting over the vineyards. 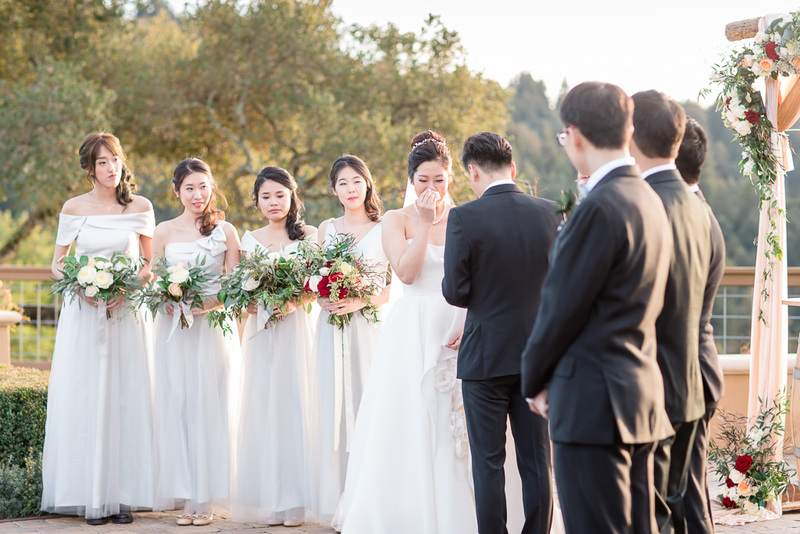 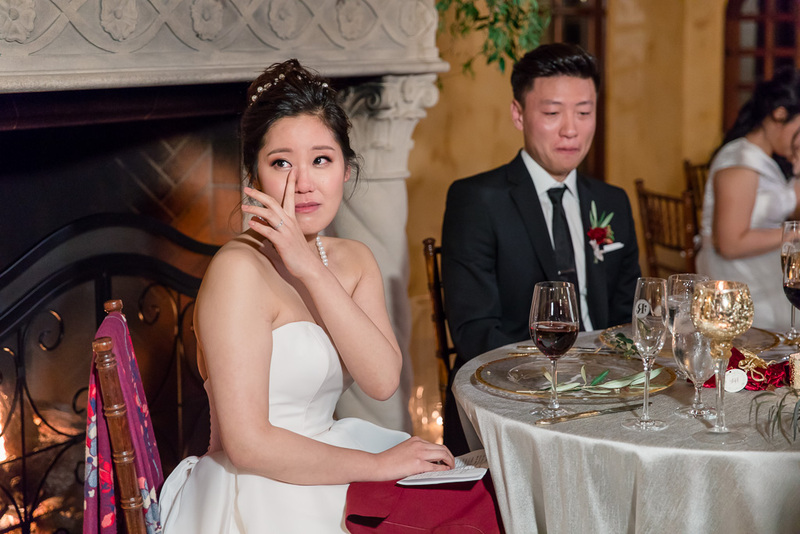 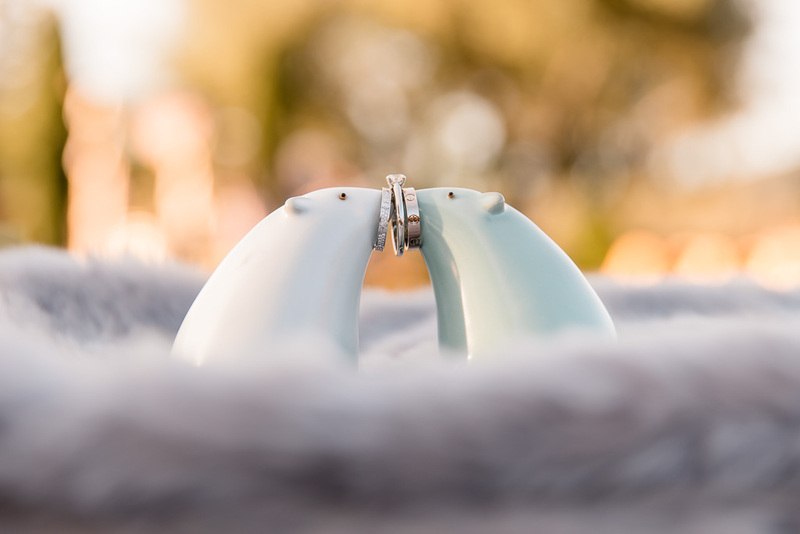 Their ceremony was especially memorable for us because of their touching vows — and though we didn’t expect it from Bo, both bride and groom teared up a bit at the other’s promises for their future together. 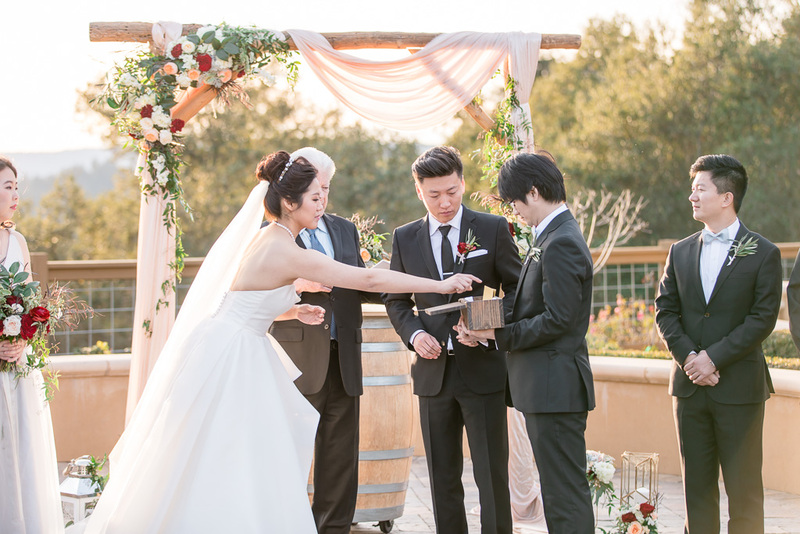 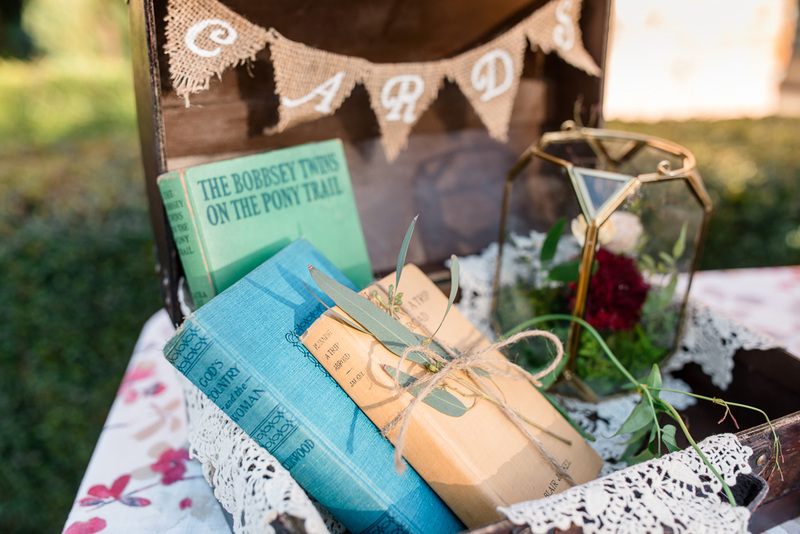 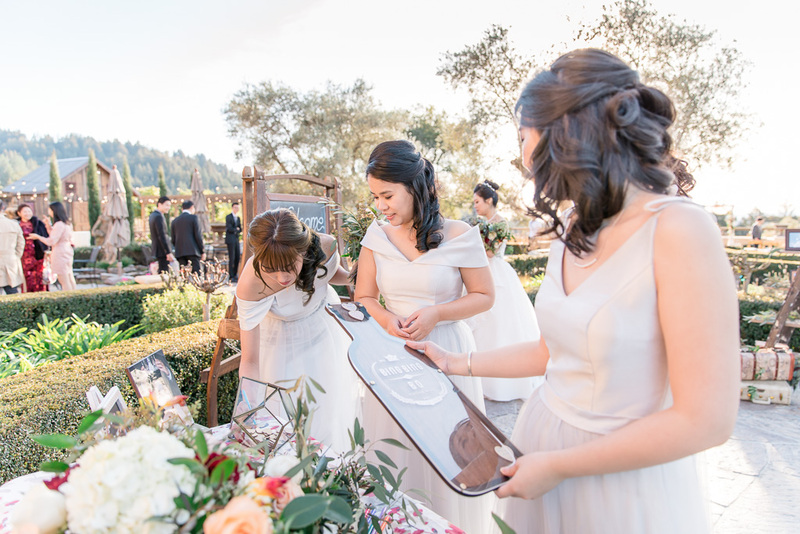 After officially tying the knot, they each sealed and locked their vows in a wine box, to be opened on the night of their fifth anniversary. 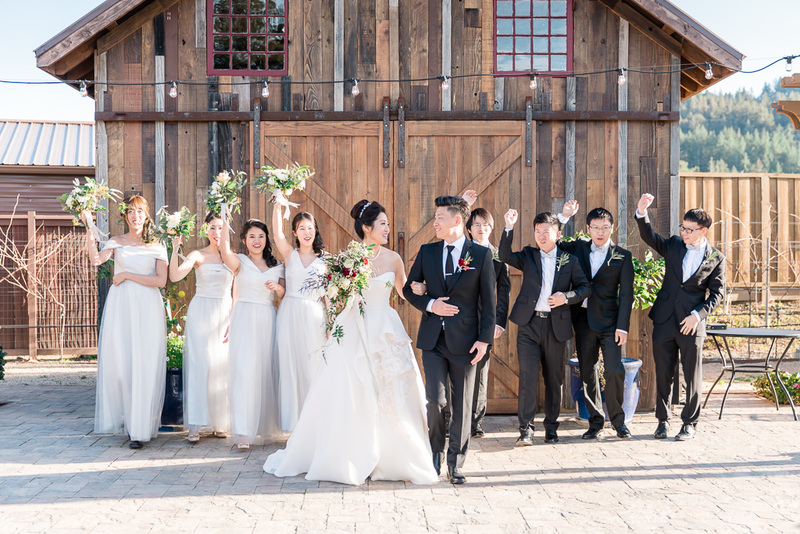 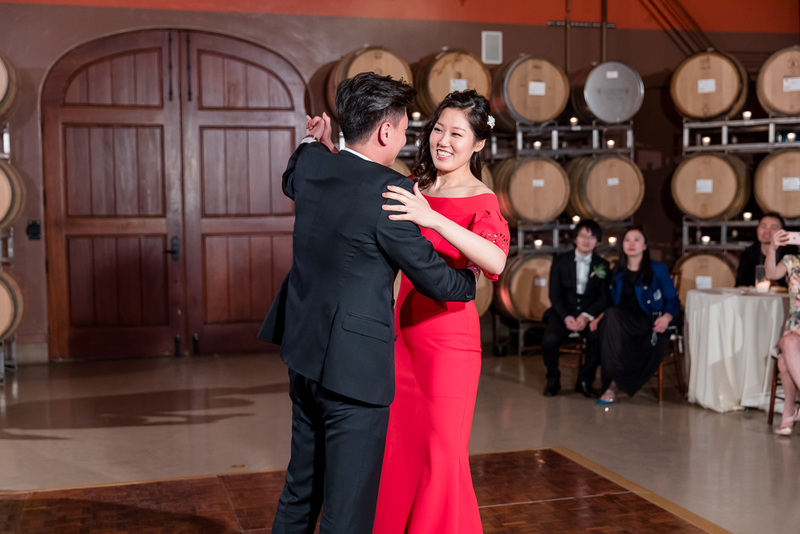 This wedding was a small, intimate one, and we really enjoyed that aspect. 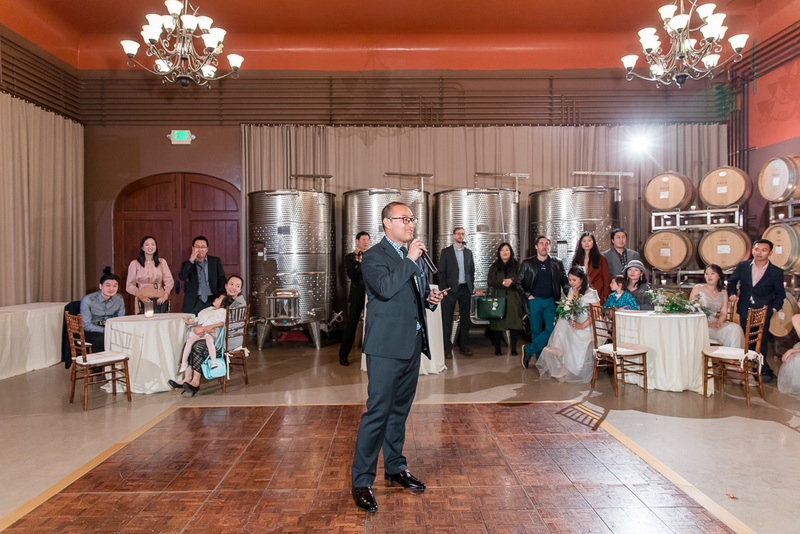 All the guests had a great time together, and the atmosphere felt very personal. 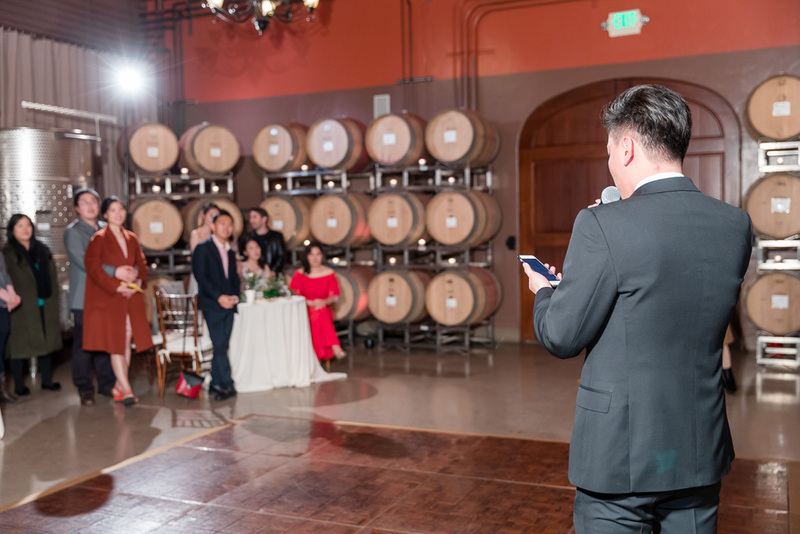 During the reception, one of the guests sang a song for the newlyweds (quite well, I might add), and after that, Bo showed off his own voice by singing a song for his wife. 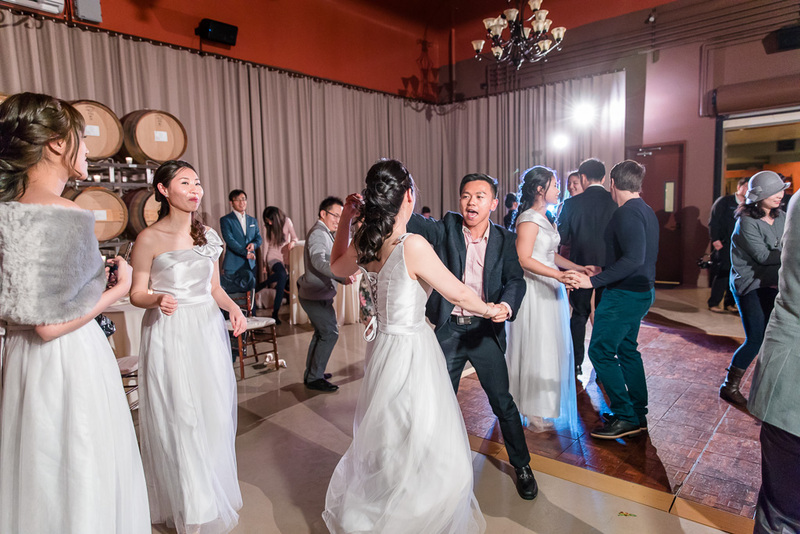 We actually didn’t expect such a lively crowd dancing into the night, but I suppose with a small, connected group, everybody was really into the celebration!